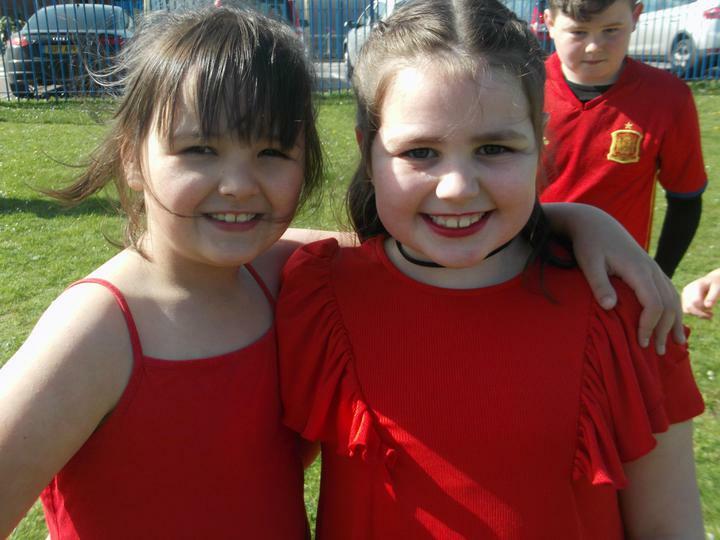 Dance is every Monday and PE is every Wednesday. 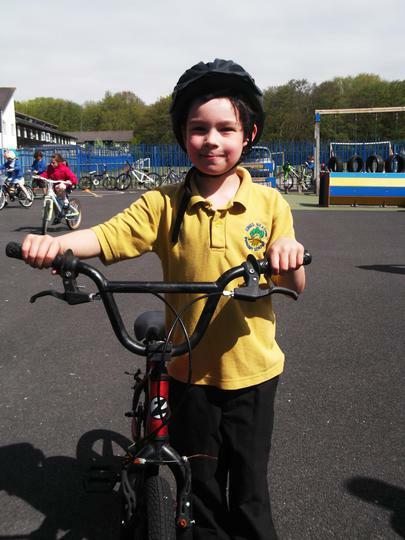 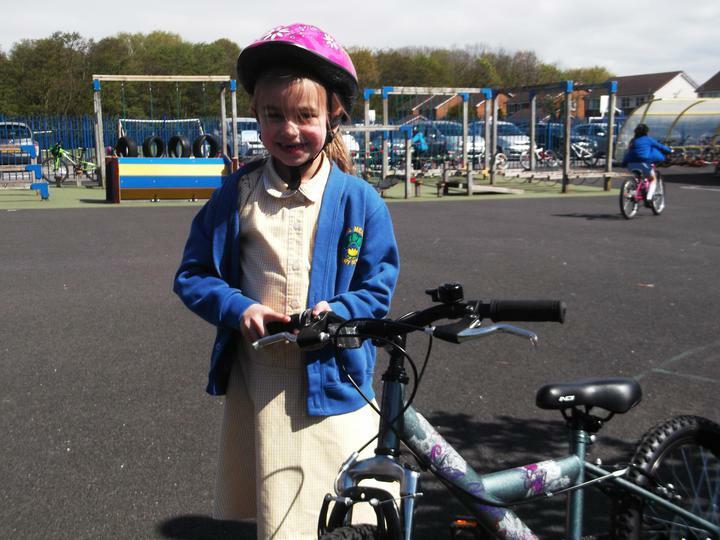 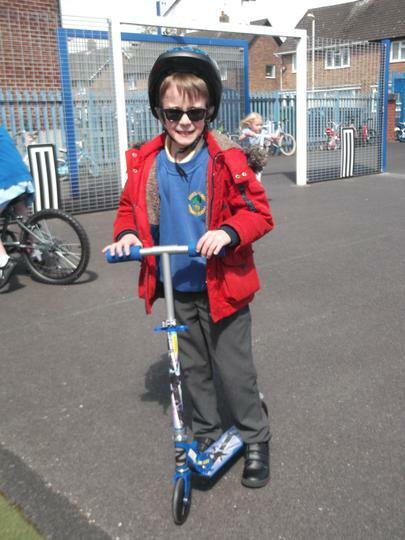 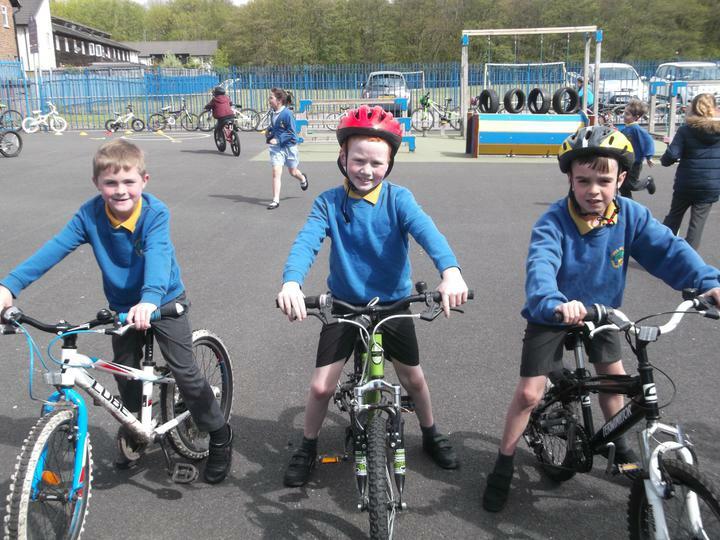 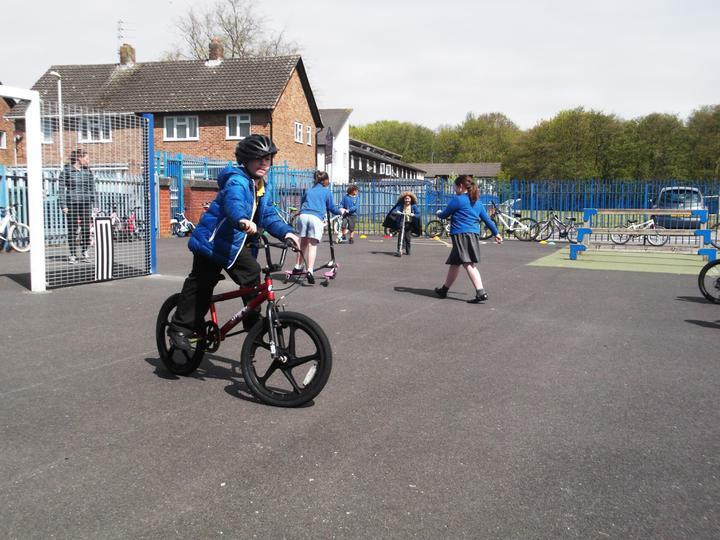 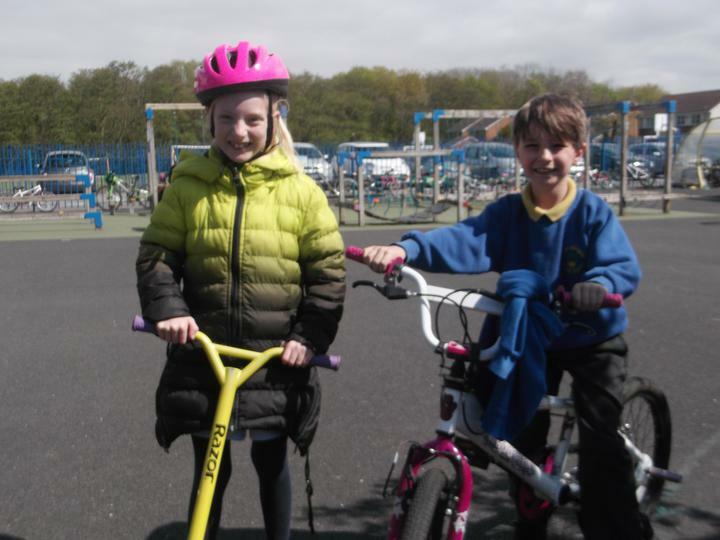 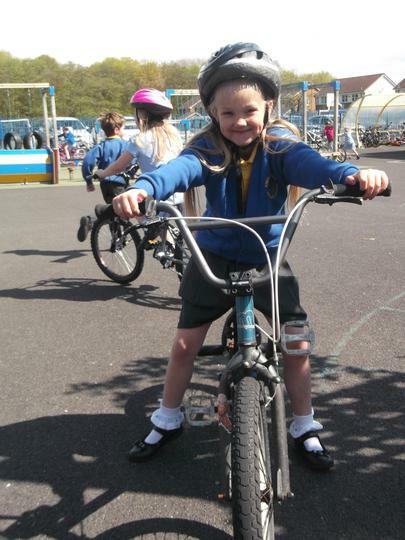 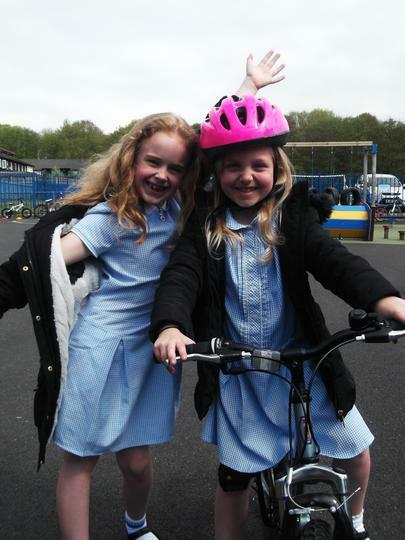 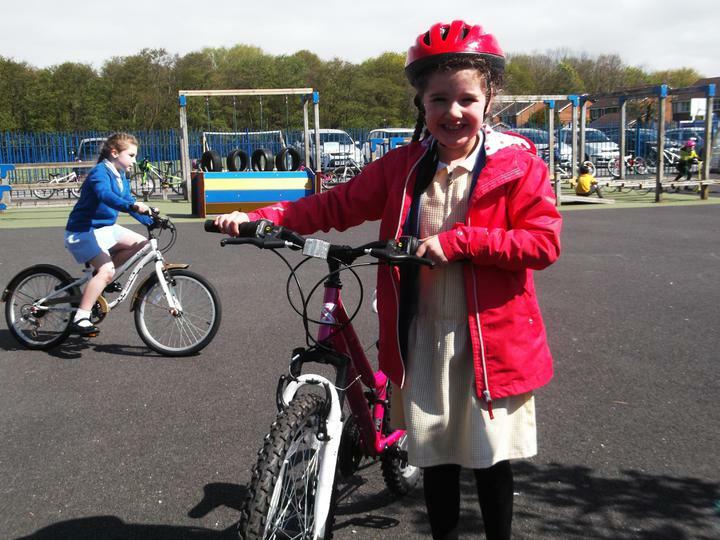 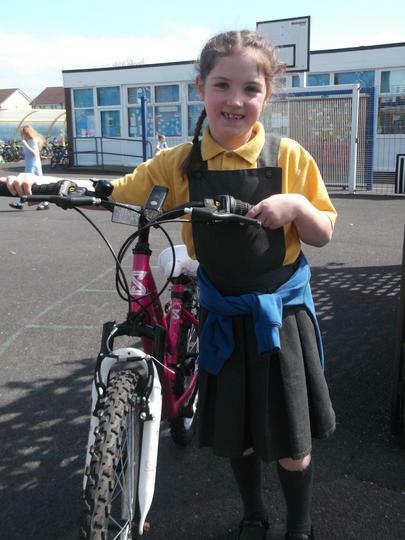 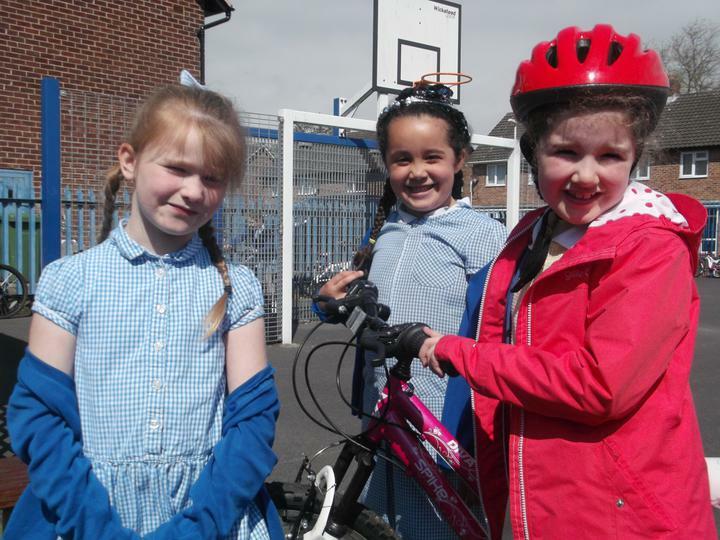 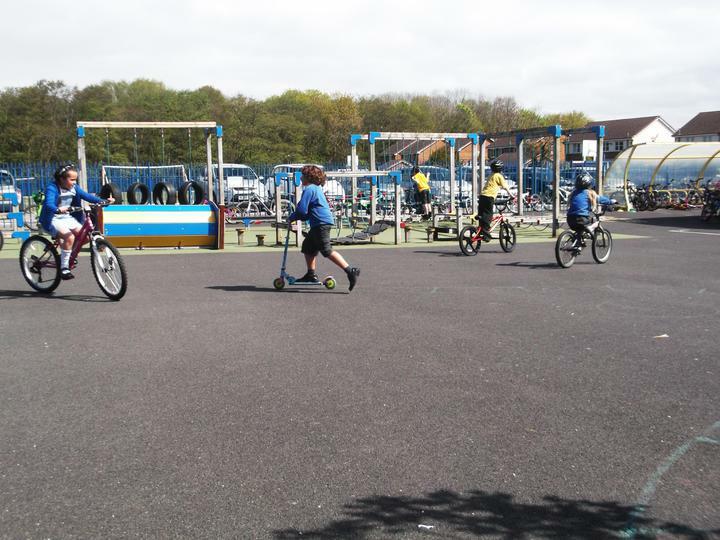 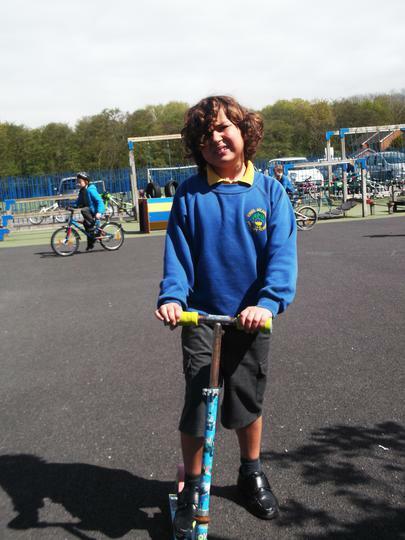 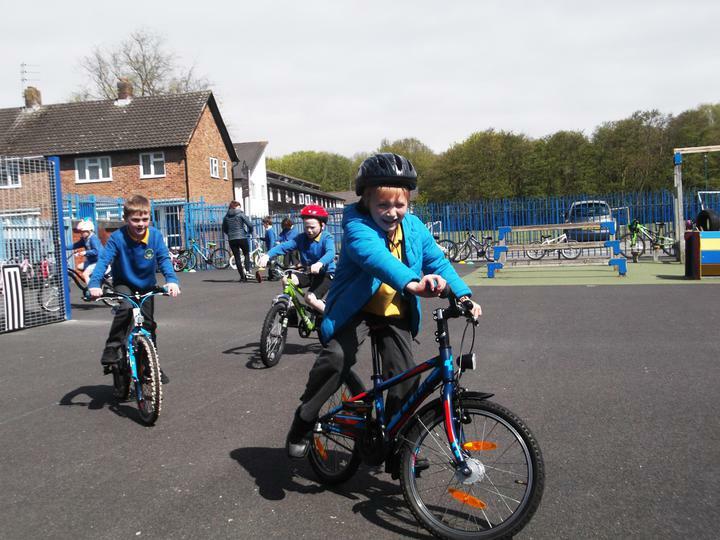 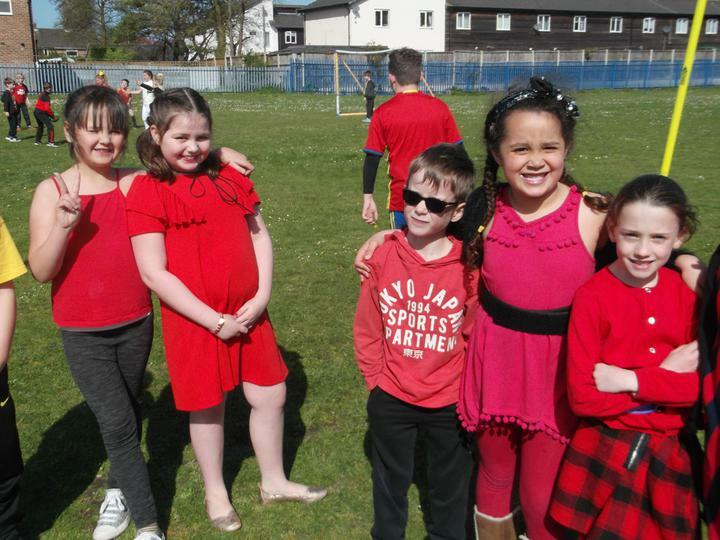 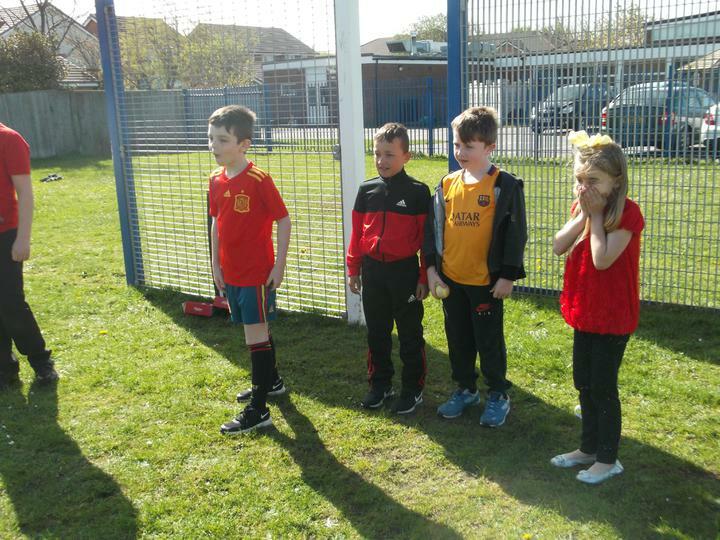 Please ensure your child has their full PE kit on these days. 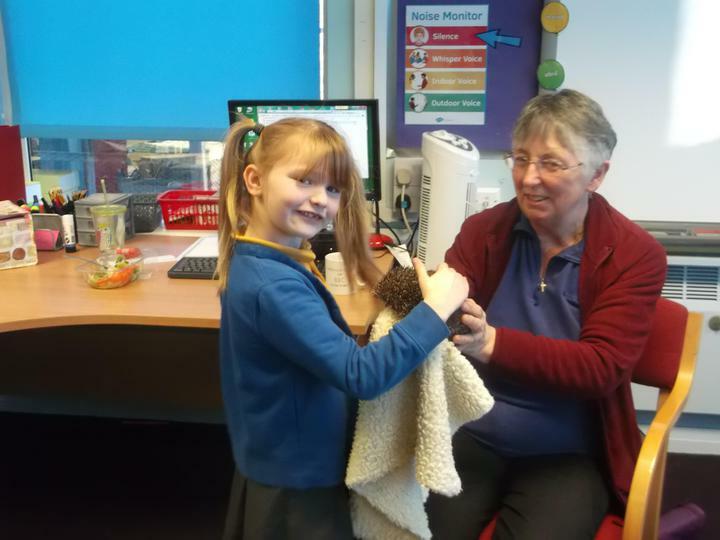 Reading books are given out every day, please read with your child as frequently as possible and write in their reading record. 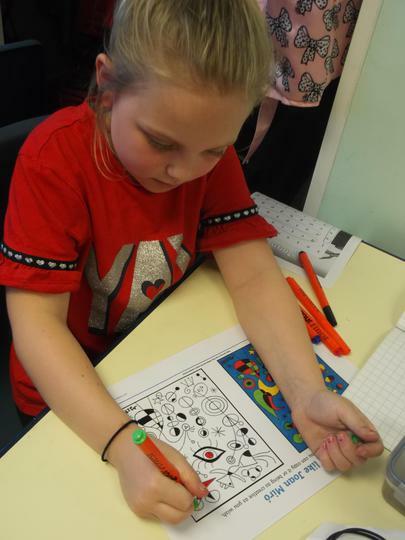 Homework is given out on Thursdays and should be completed for the following Tuesday. 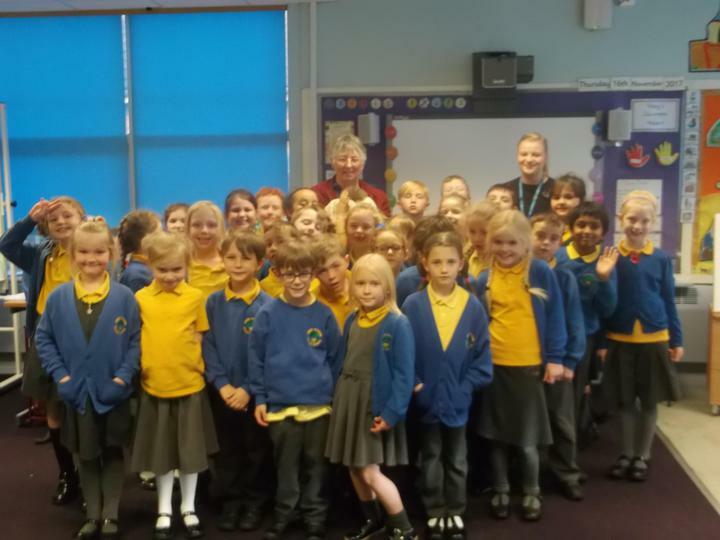 This year we are learning our 3, 4, 6, 8 and 11 times tables. 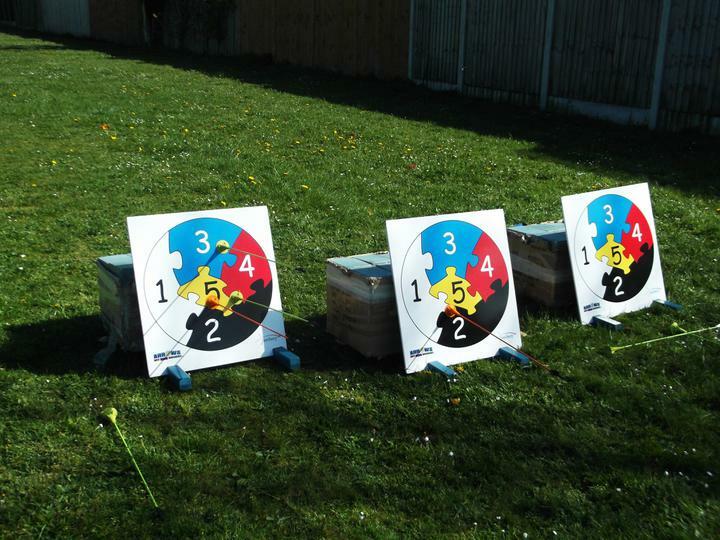 Please continue to practise these regularly. 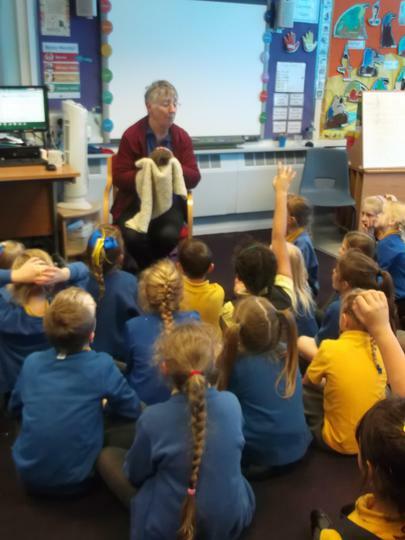 As readers we will read a variety of texts, including: Stone Age Boy, UG, Stig of the Dump, How to Wash a Woolly Mammoth and The Iron Man. 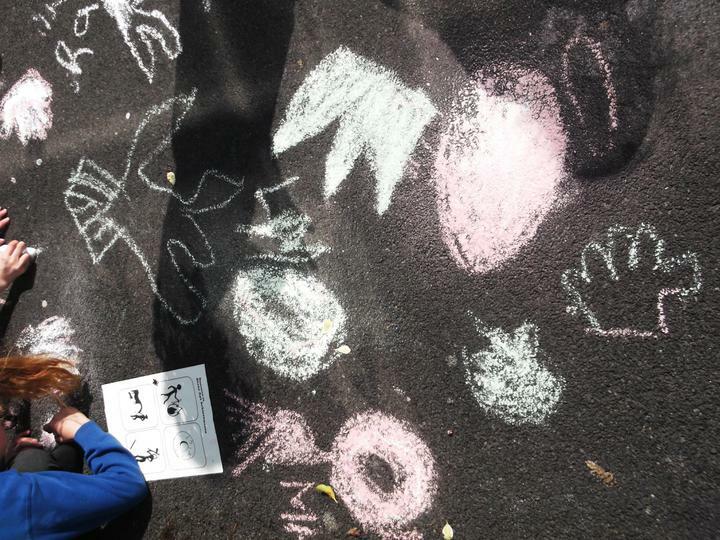 We will learn how language, structure and presentation contribute to meaning. 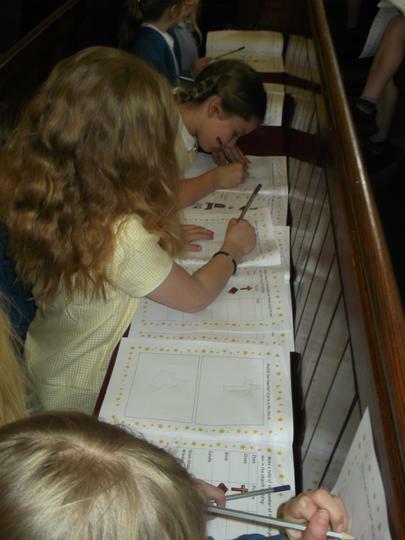 As writers we will learn about homophones, possessive apostrophes, suffixes, adverbs and fronted adverbials. 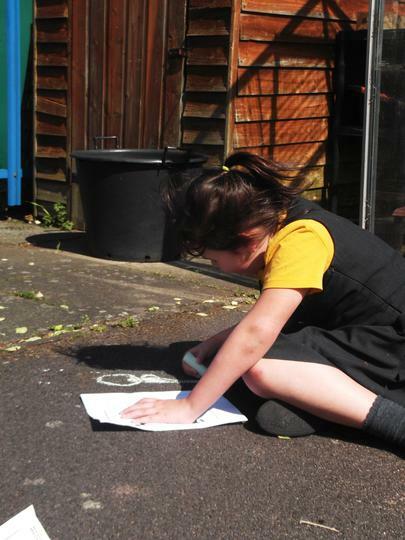 We will use these in different genres of writing such as stories, poems, play scripts, instructions and recounts. 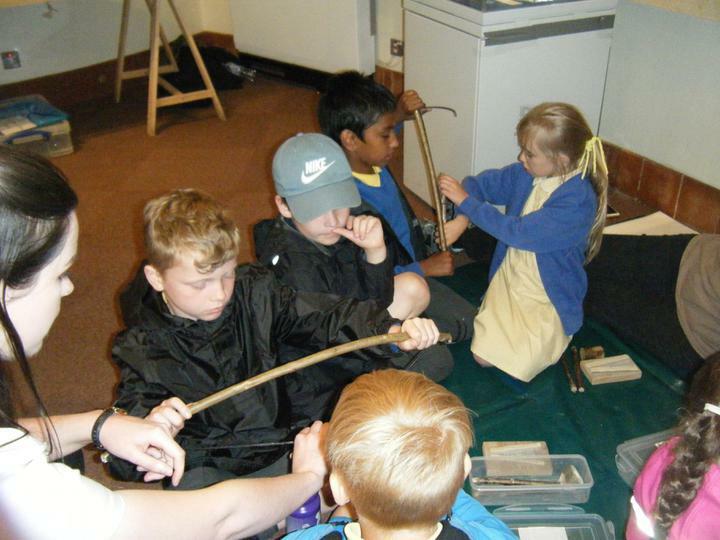 As actors we will use role play to act like hunter gatherers, imagining the advantages and disadvantages of living in the Stone Age. 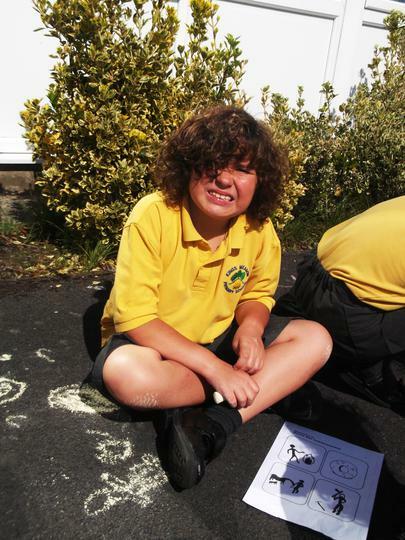 As mathematics we will be able to multiply 2 digit numbers using expanded written method, find fractions of shapes and amounts and analyse tally and bar charts. 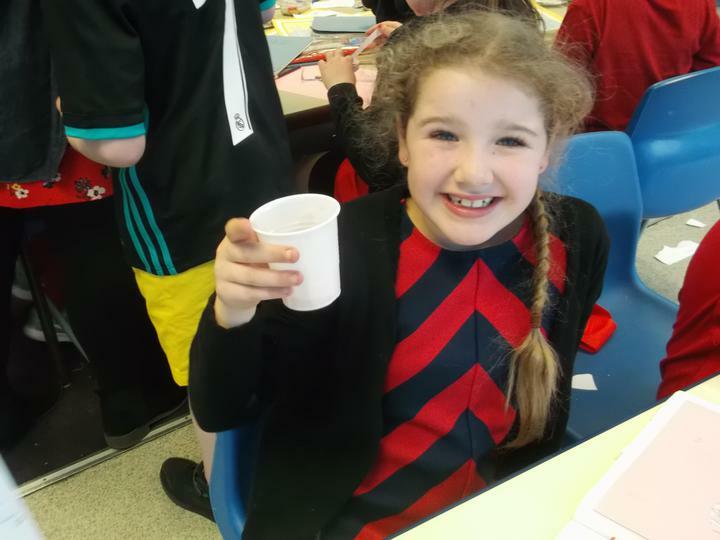 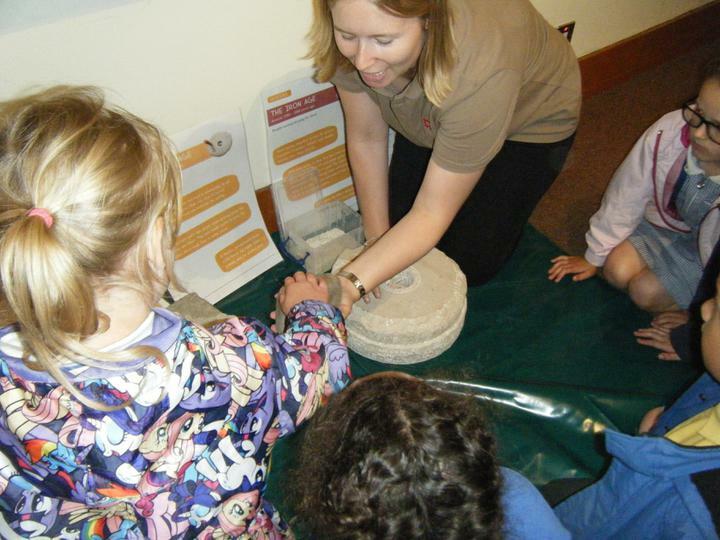 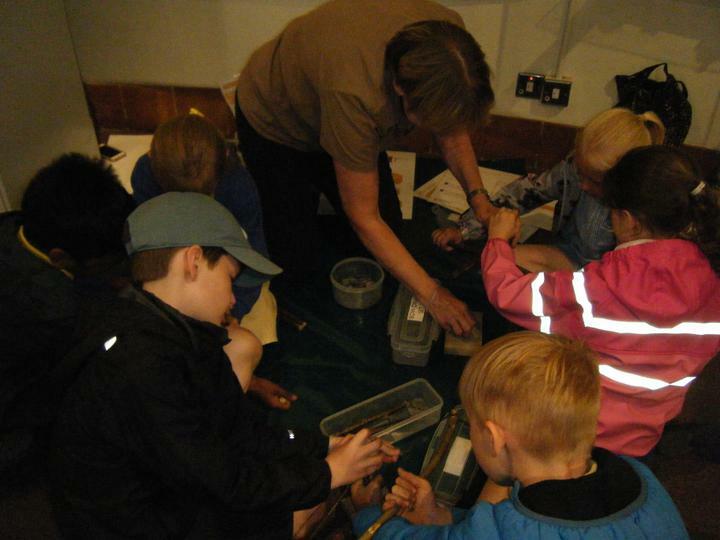 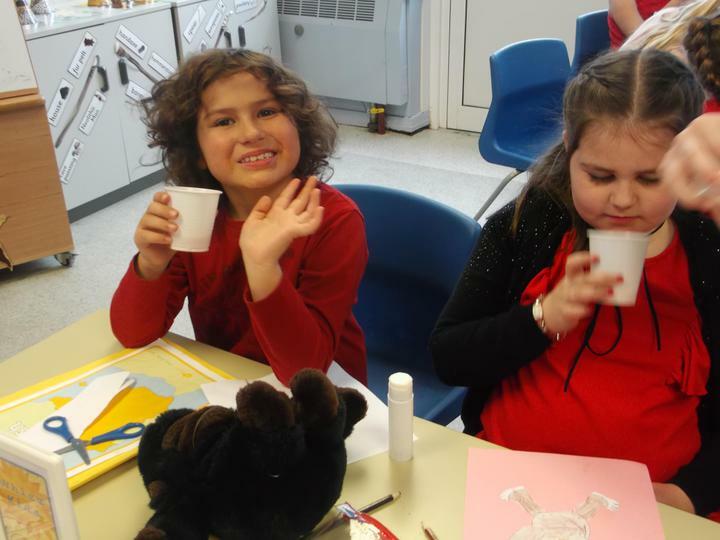 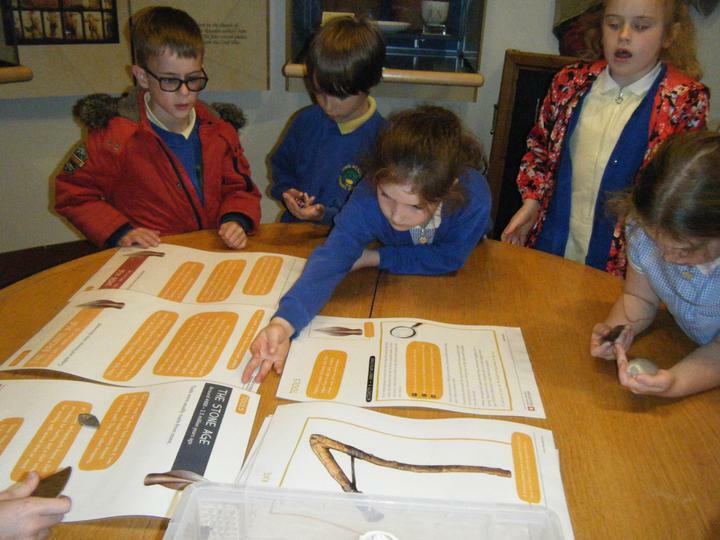 As scientists we will learn about rocks, comparing their physical properties, understand how fossils are formed and recognise that soils are made from rocks and organic matter. 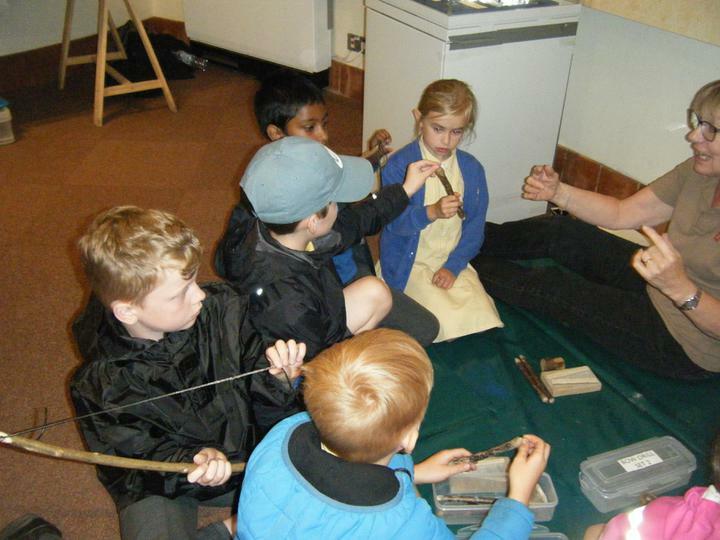 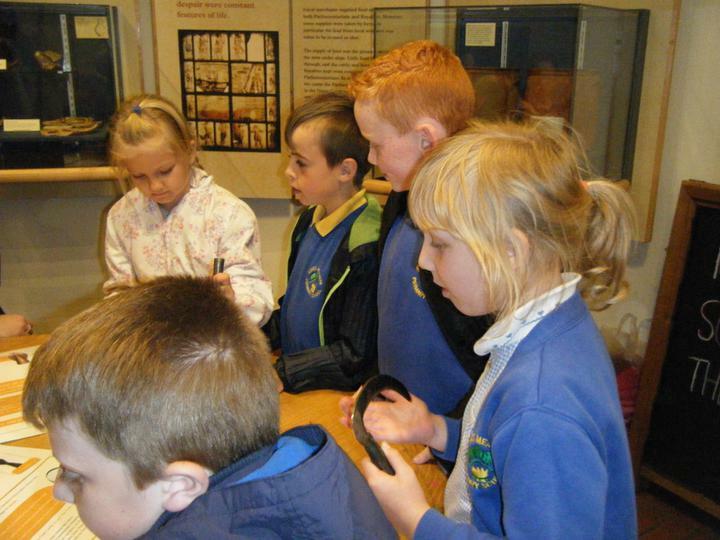 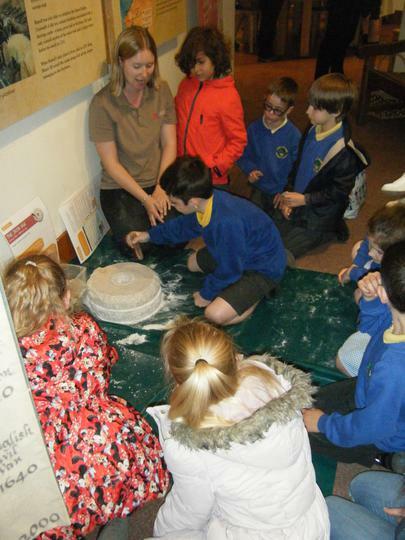 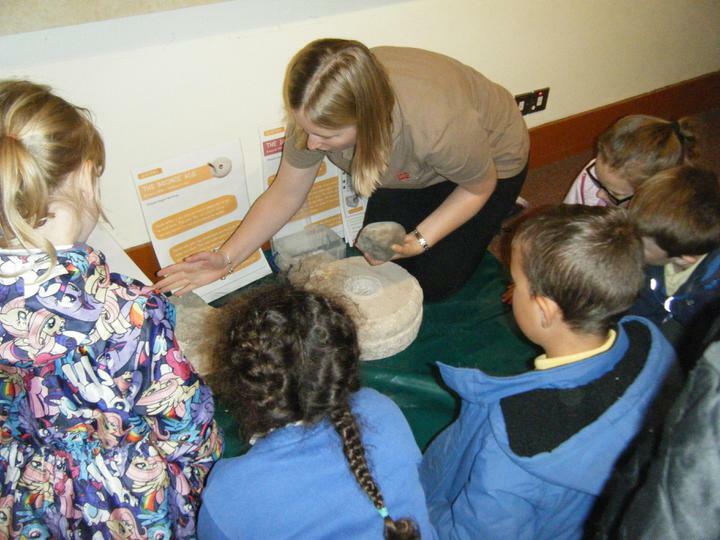 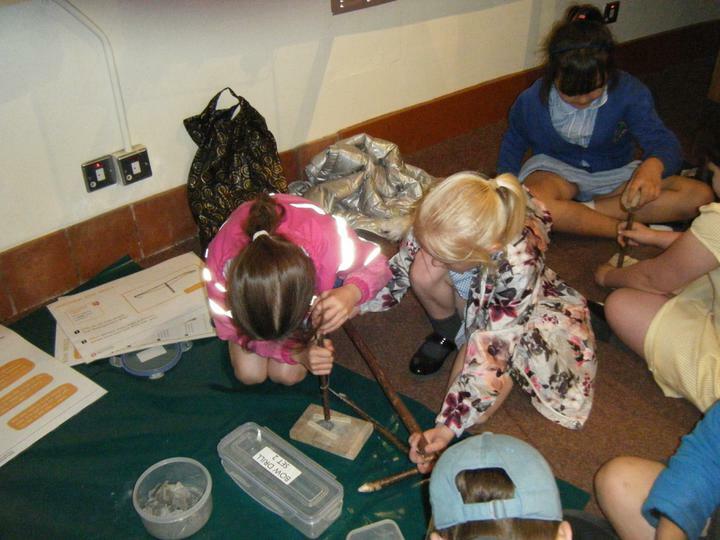 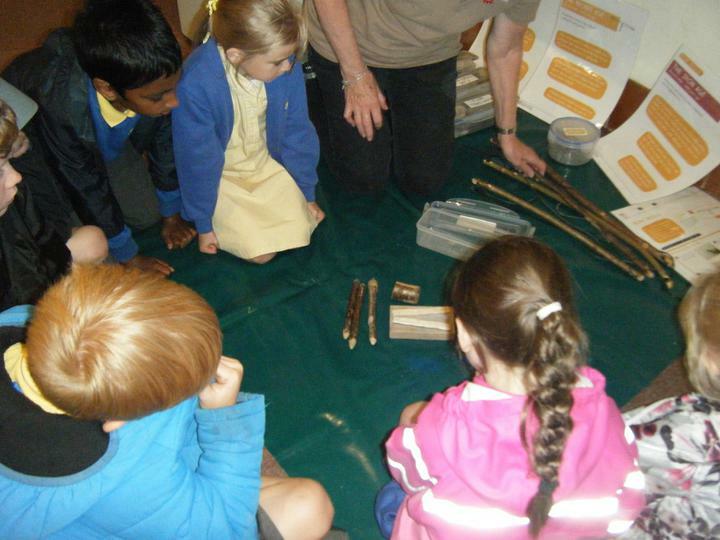 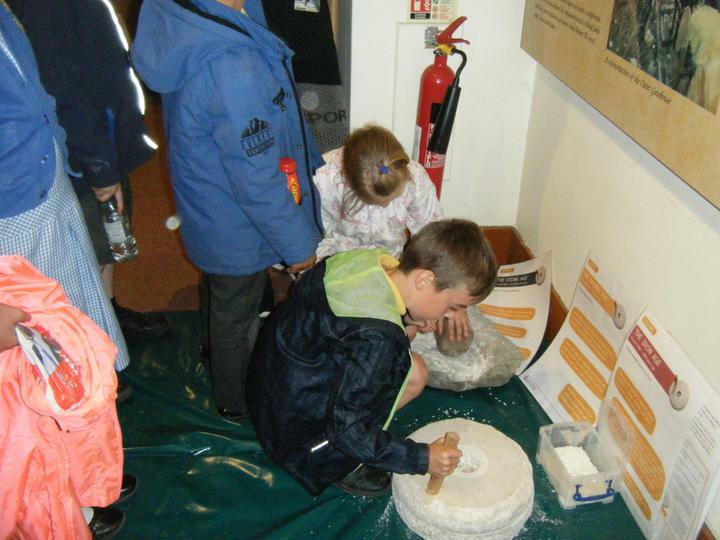 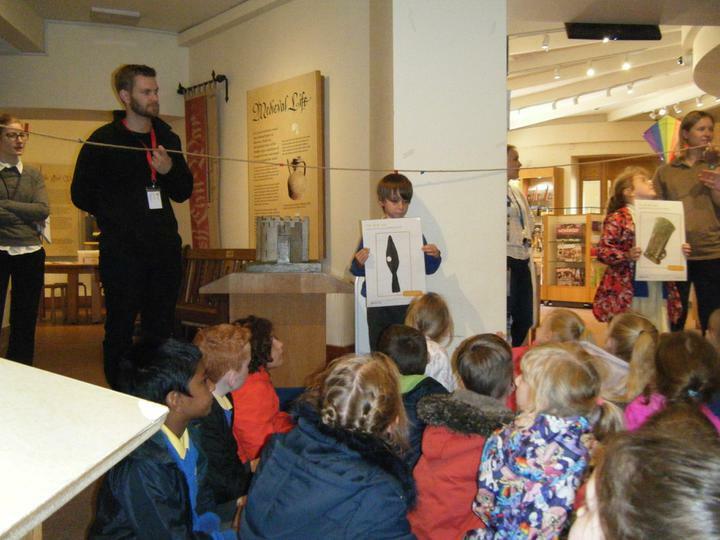 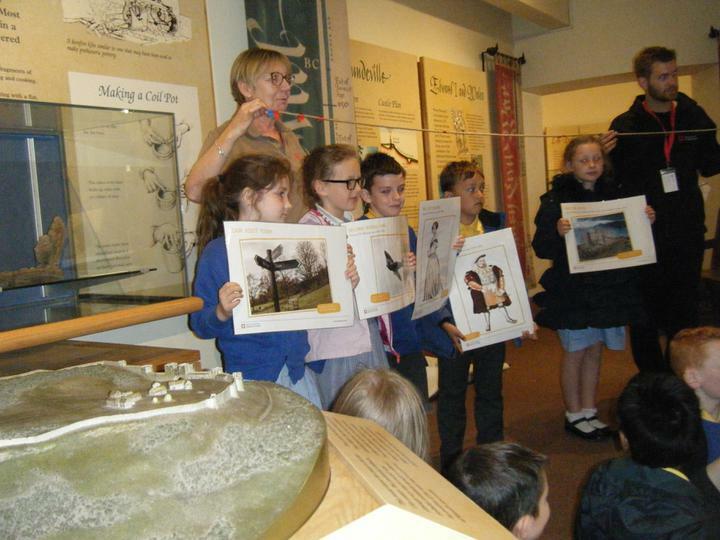 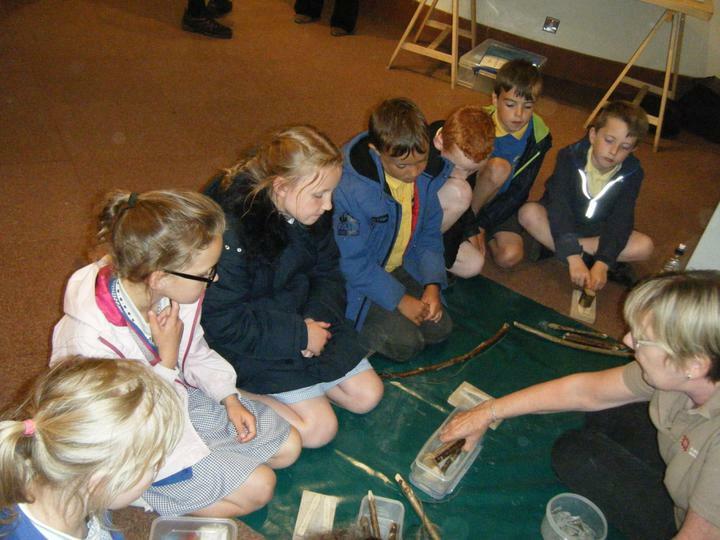 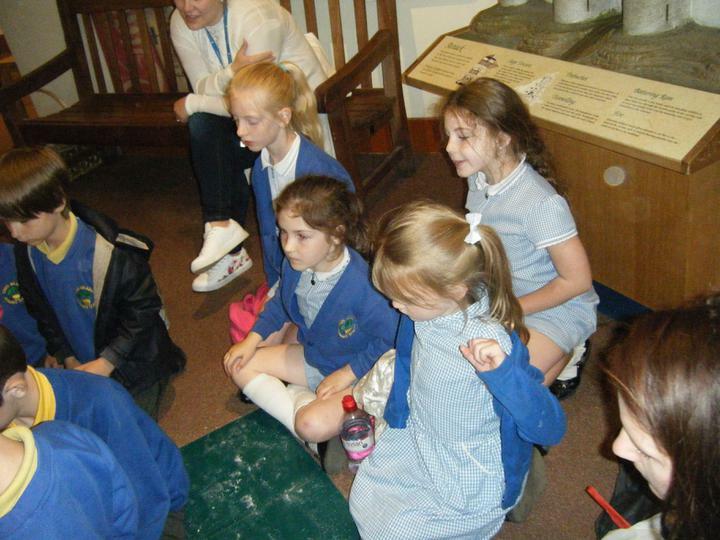 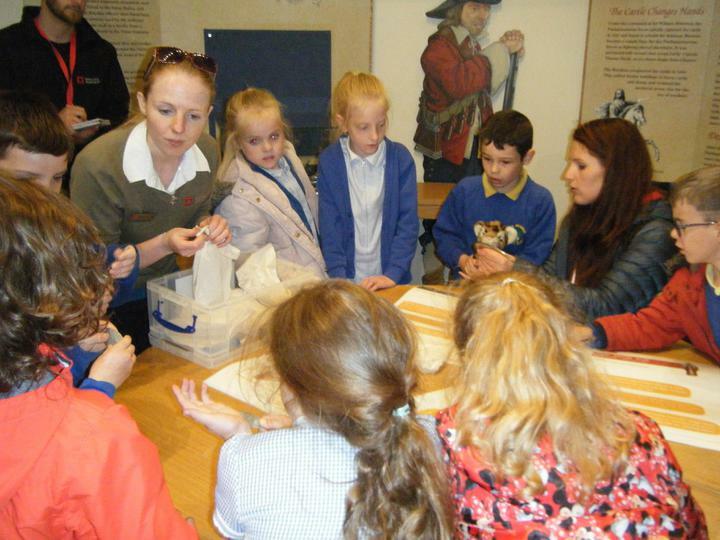 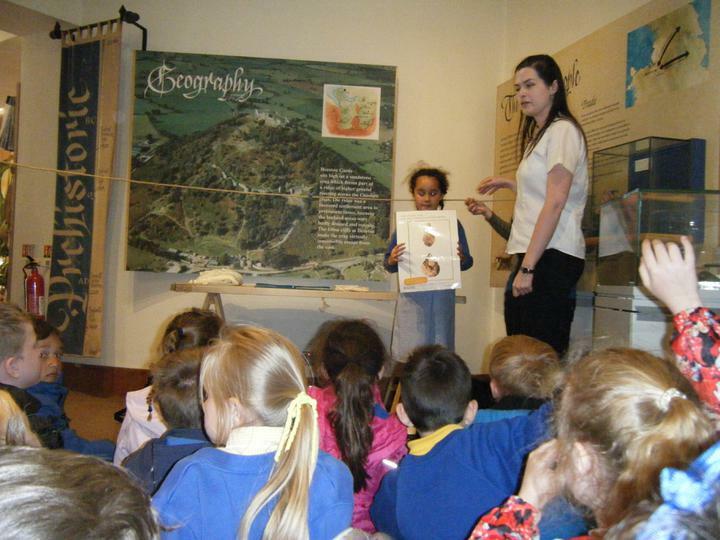 As historians we will learn about the stone, bronze and iron age. 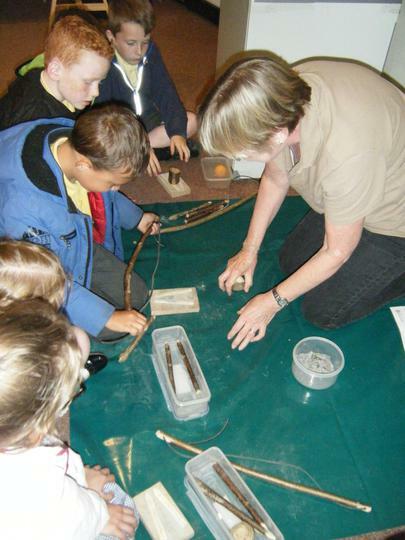 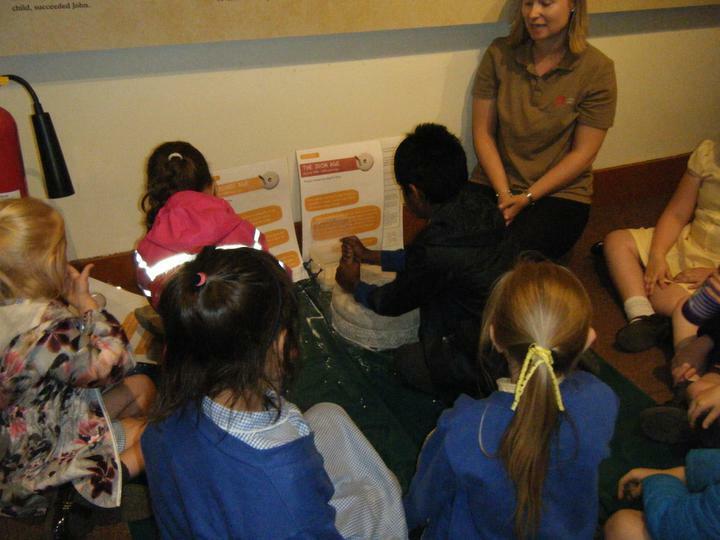 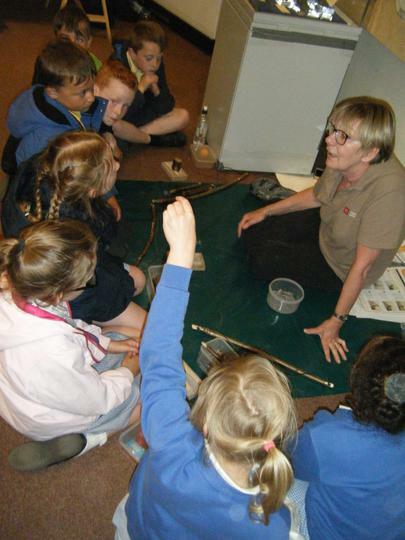 We’ll learn about farming and hunting skills, settlements, religion, tools, art and culture. 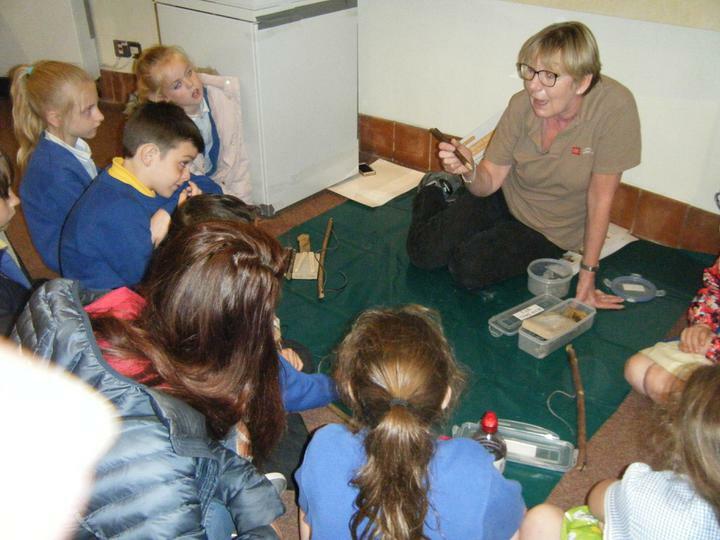 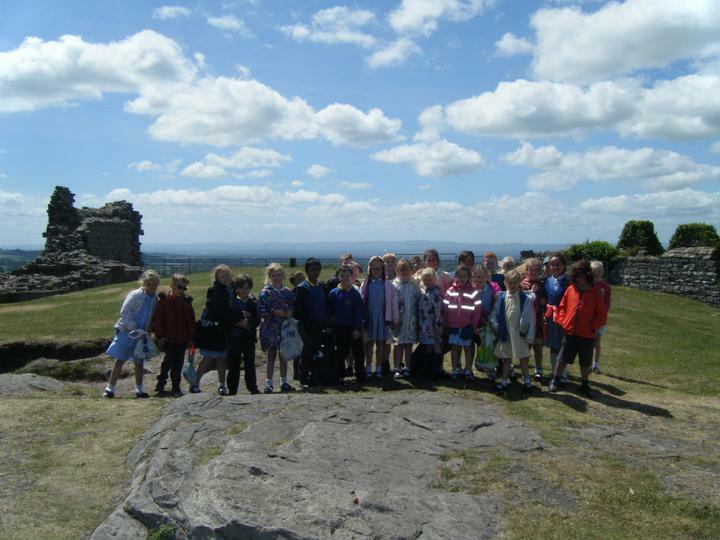 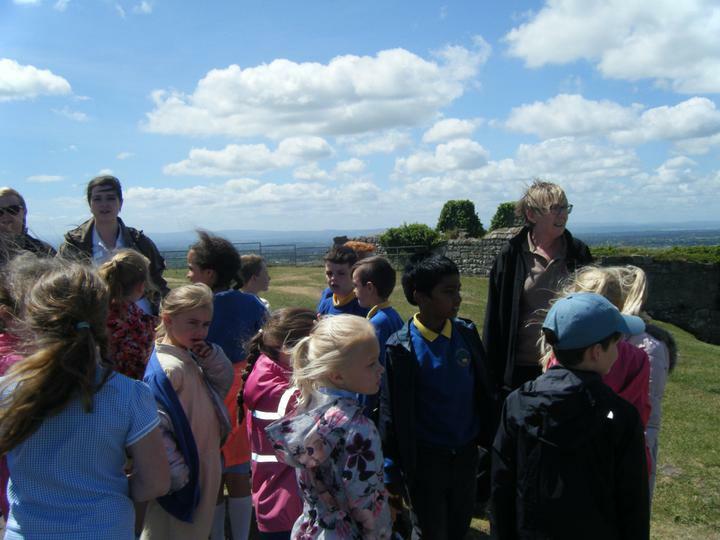 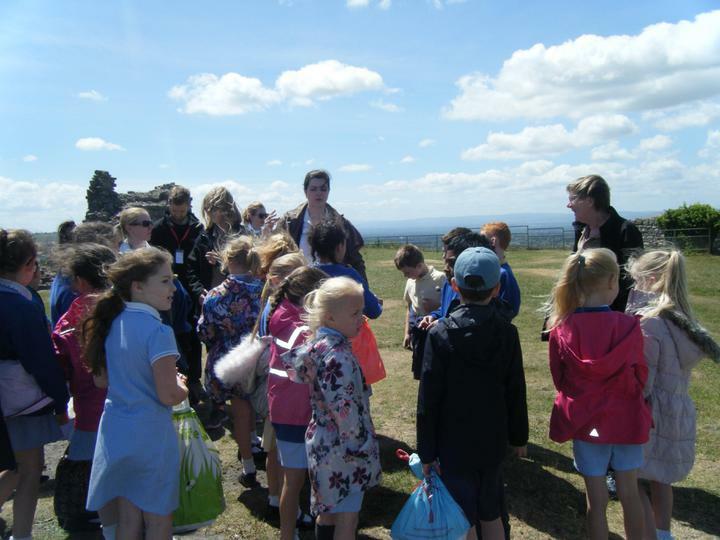 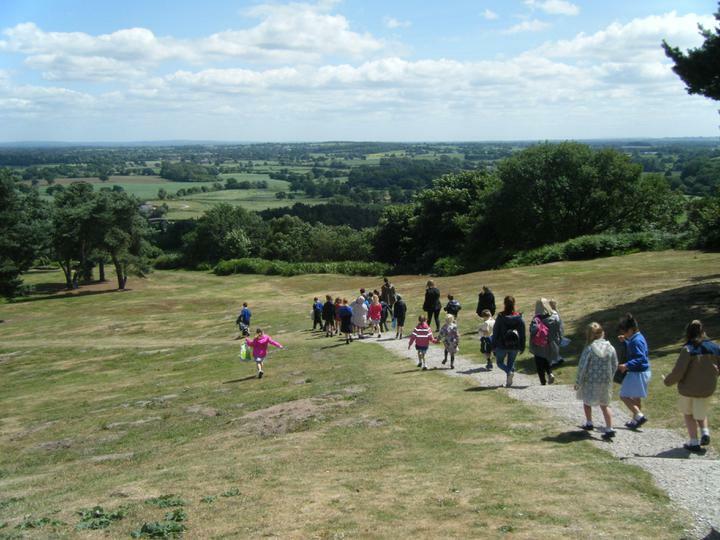 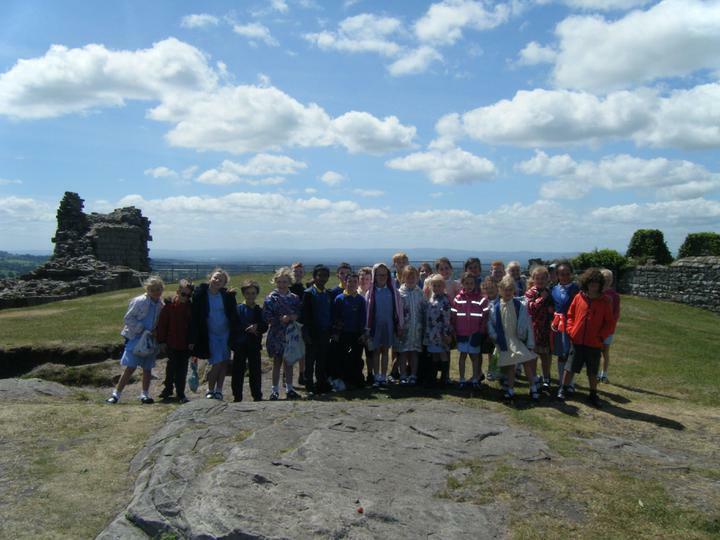 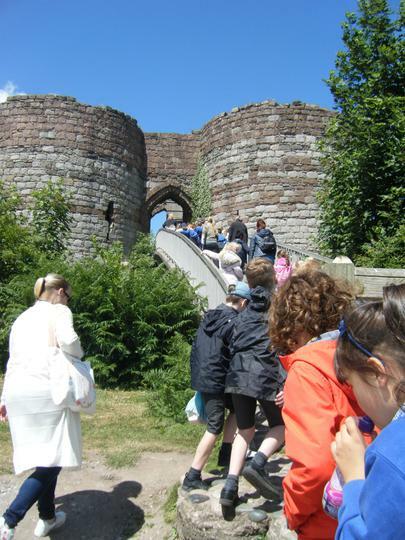 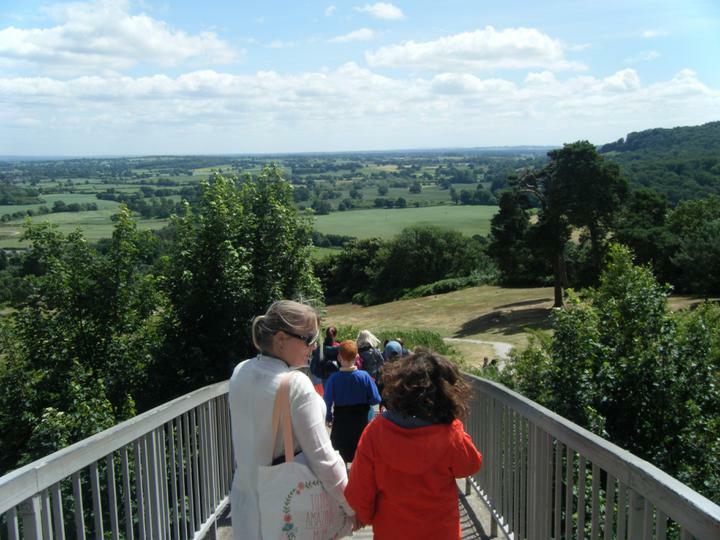 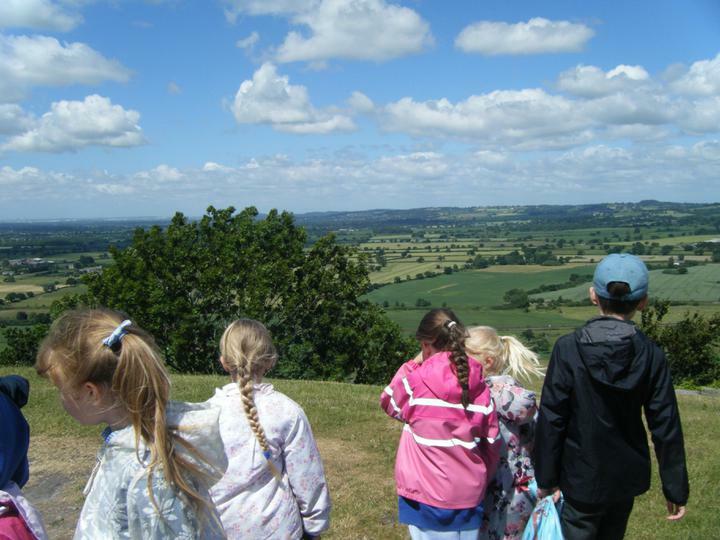 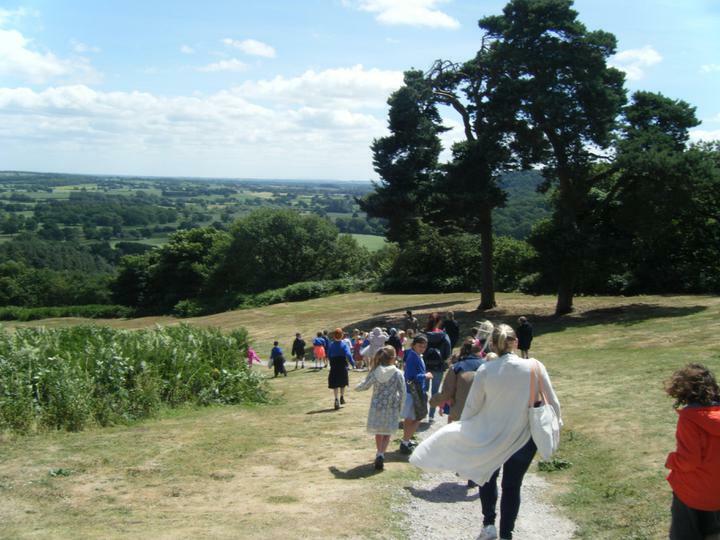 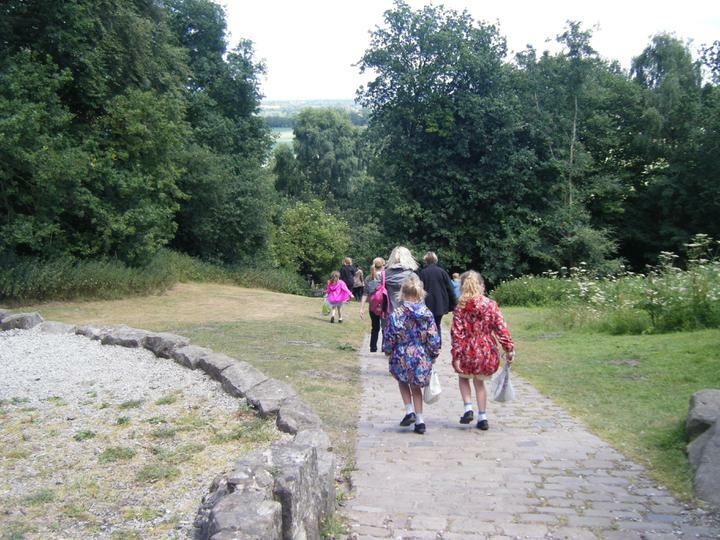 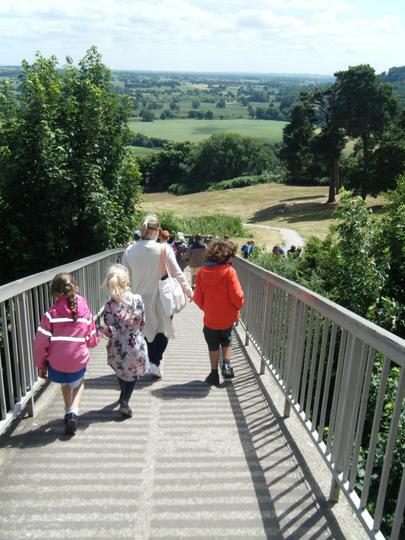 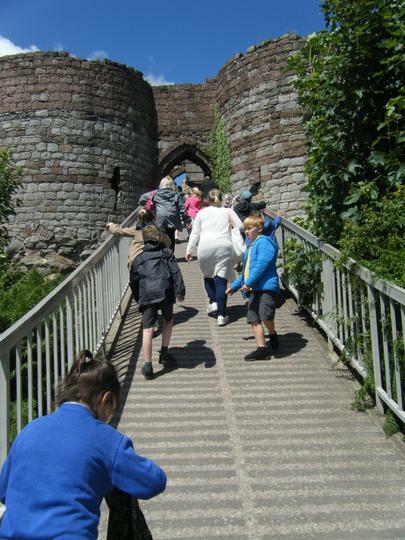 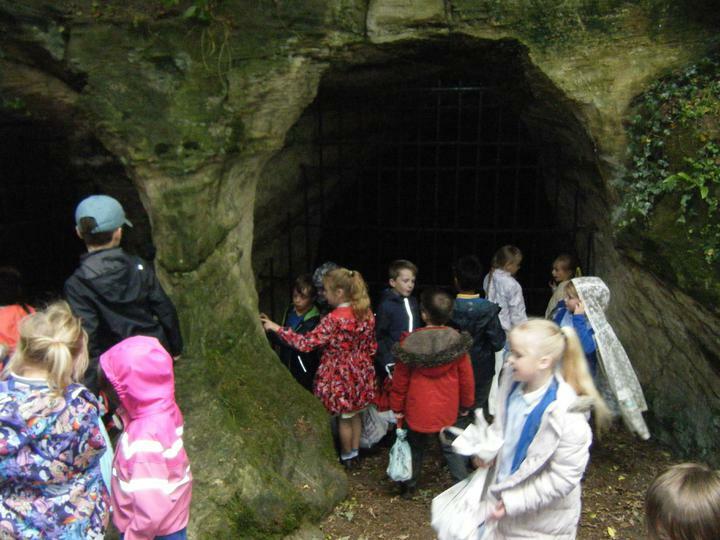 As geographers we will explore Beeston Castle as an Iron Age hill fort and take part in prehistoric style crafts including traditional tools. 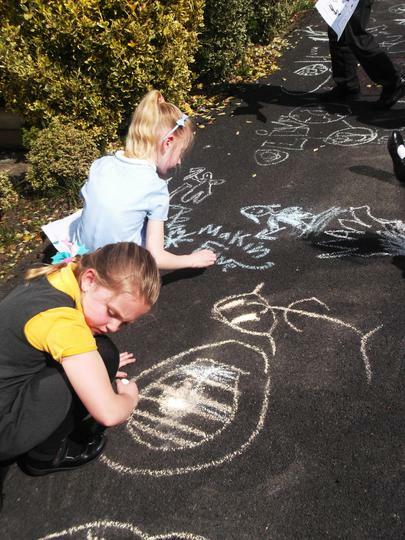 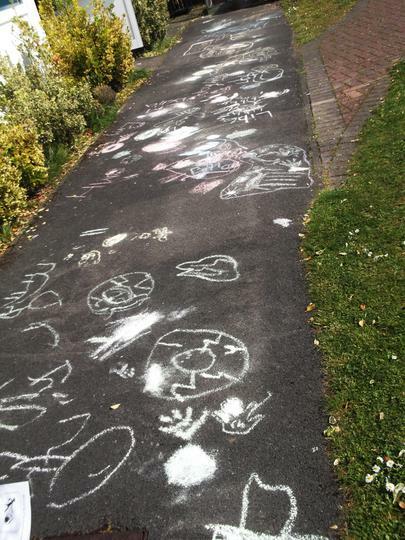 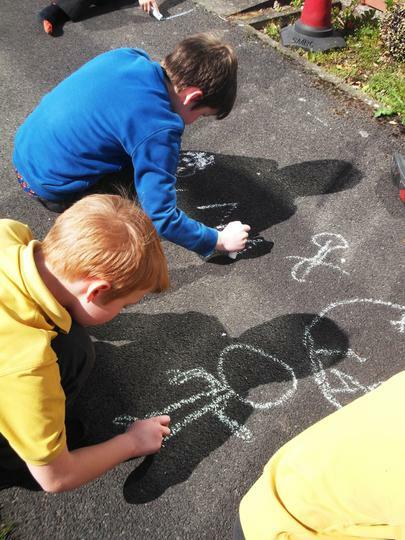 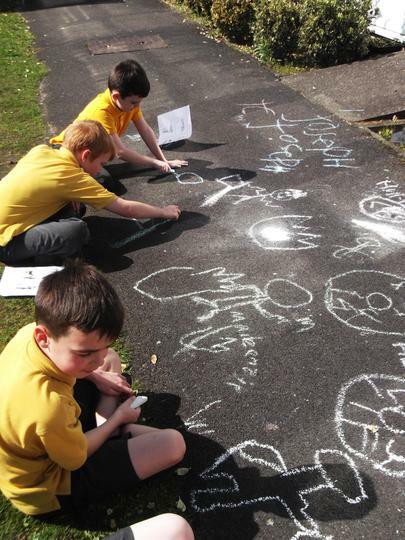 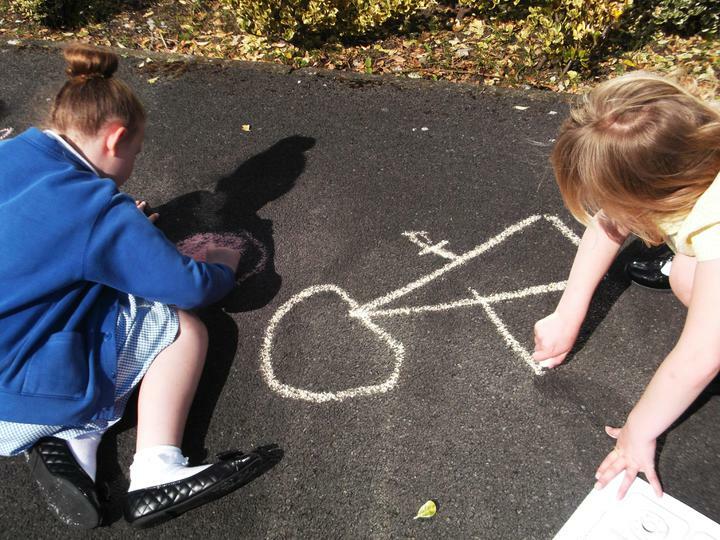 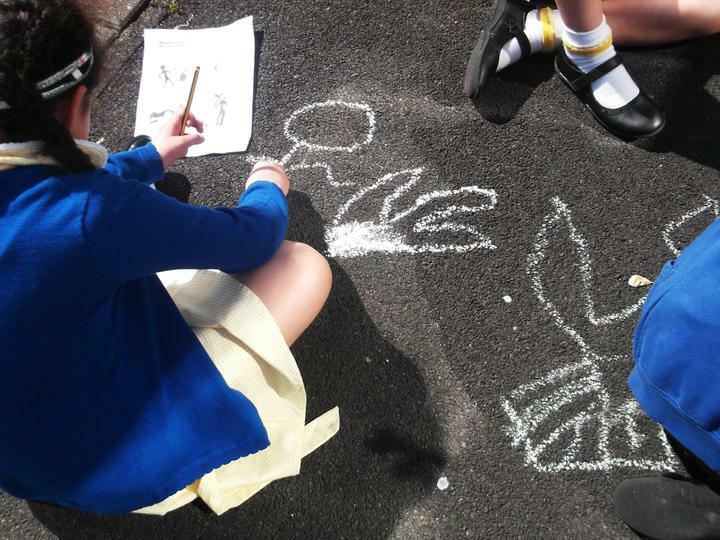 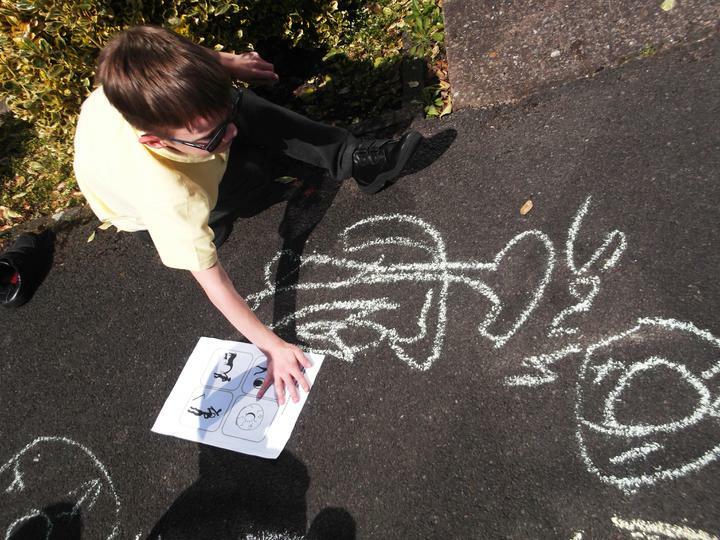 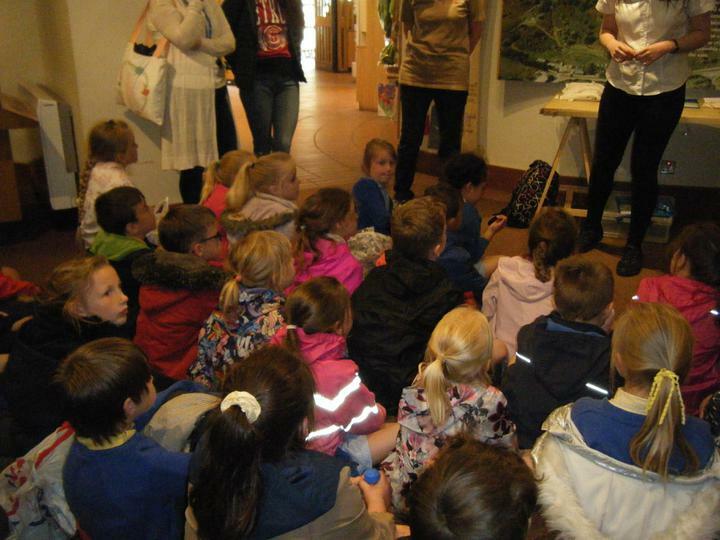 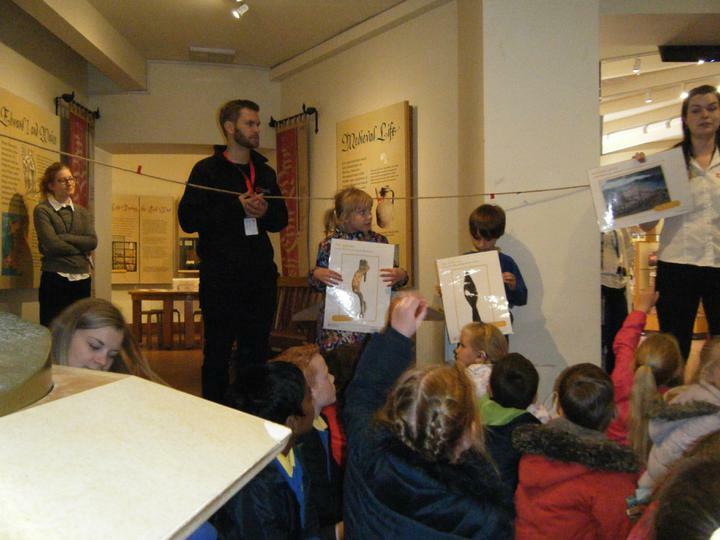 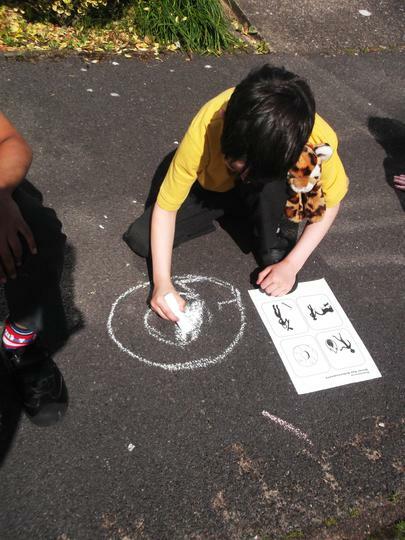 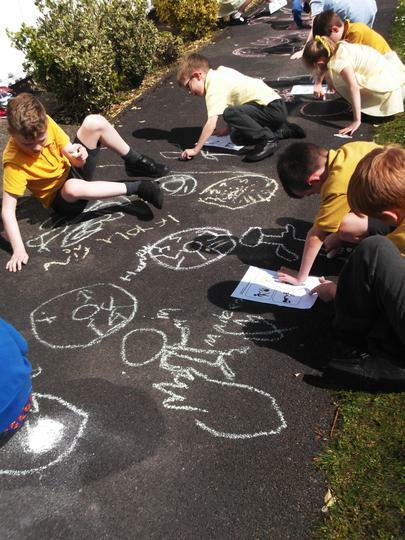 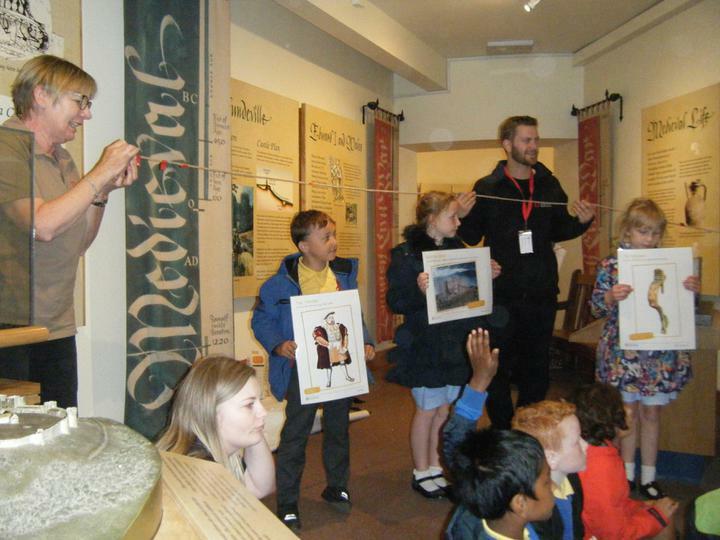 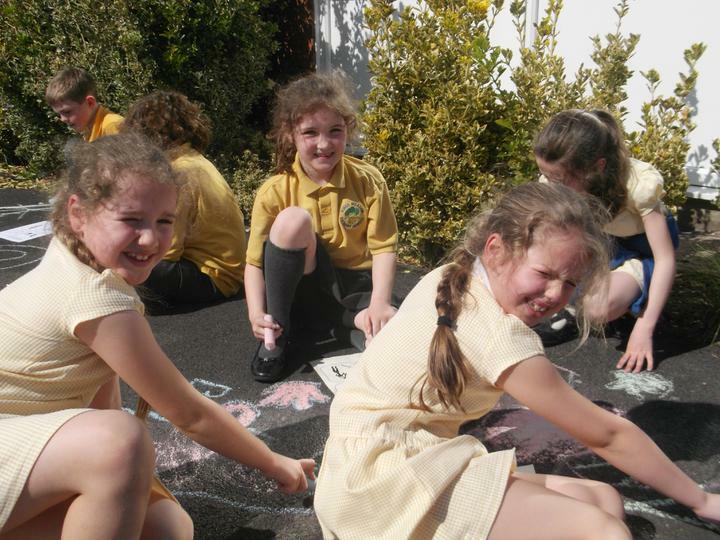 As artists we will draw enlarged chalk drawings of cave symbols, paint a Stone Age cave painting and draw an Iron Age hill fort scene. 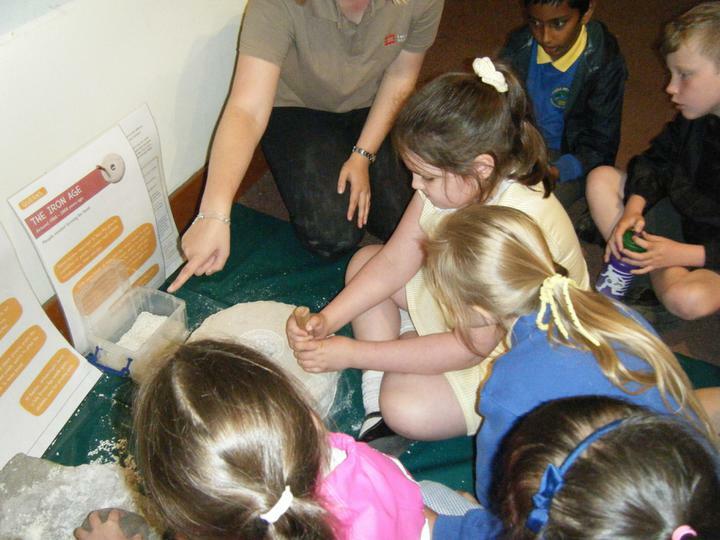 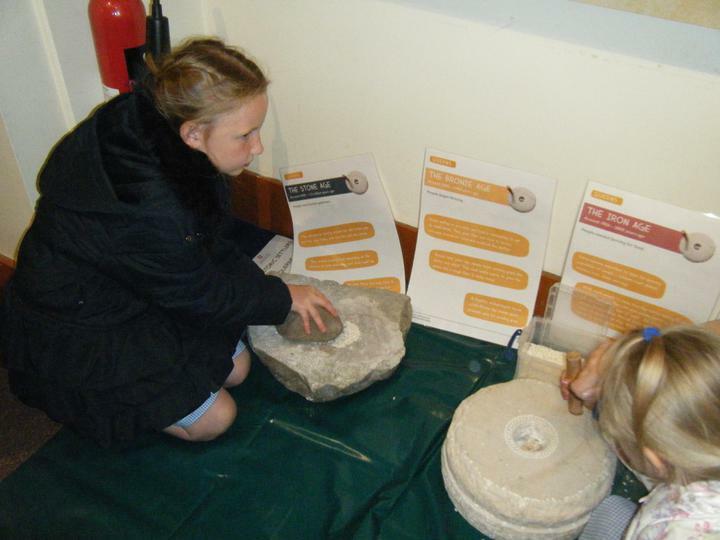 As designers we will create own models of stone henge, Stone Age cave paintings and Celtic tiles. 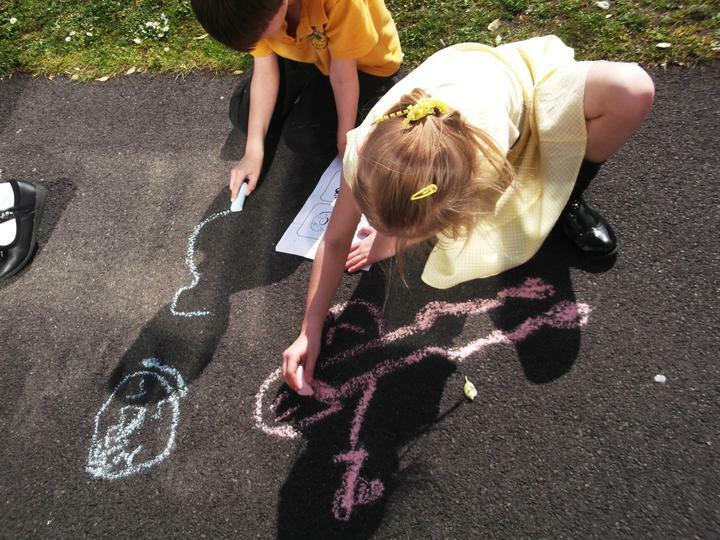 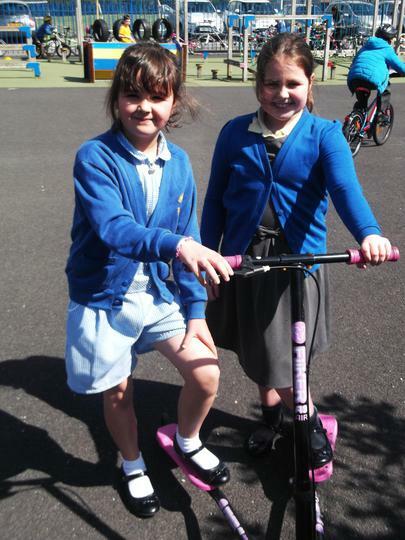 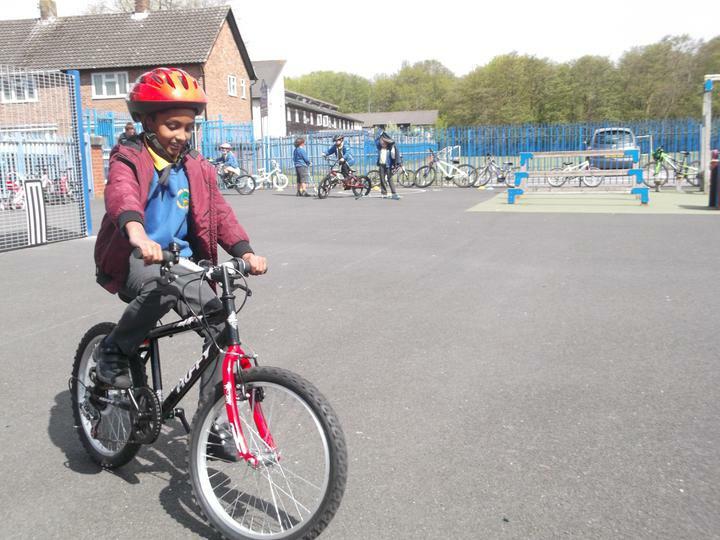 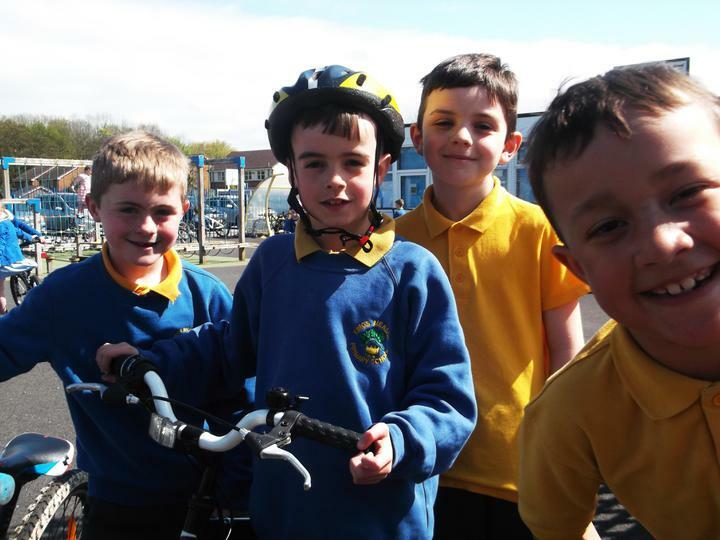 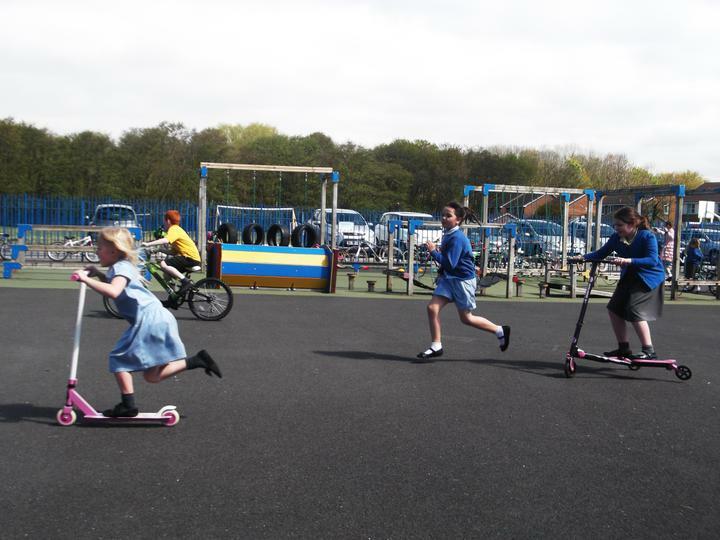 We’ll practise skills in designing, making and analysing our products. 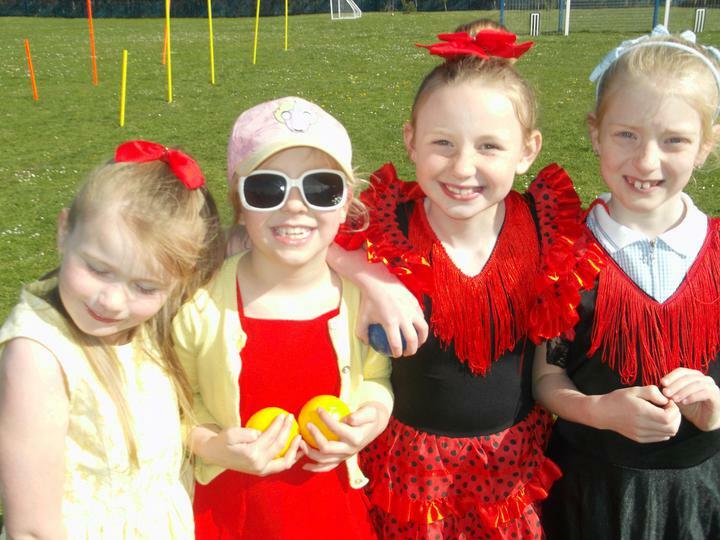 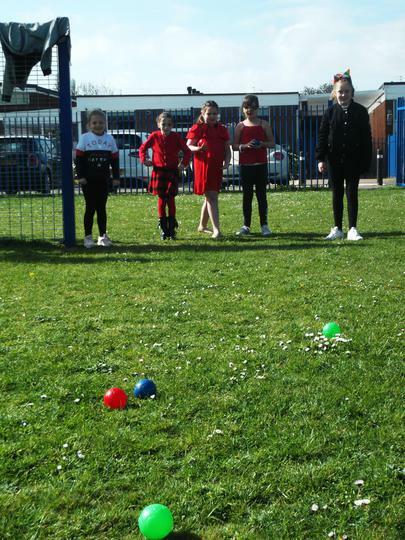 As dancers we will have the opportunity to perform our dances at the annual Ainsdale Show. 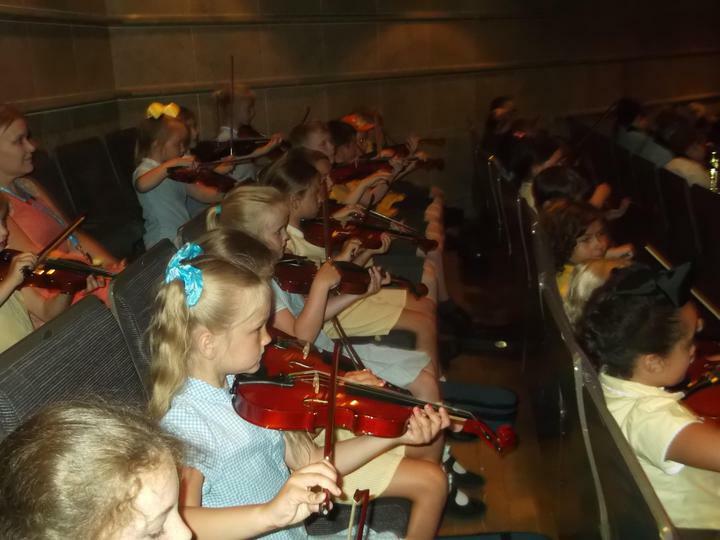 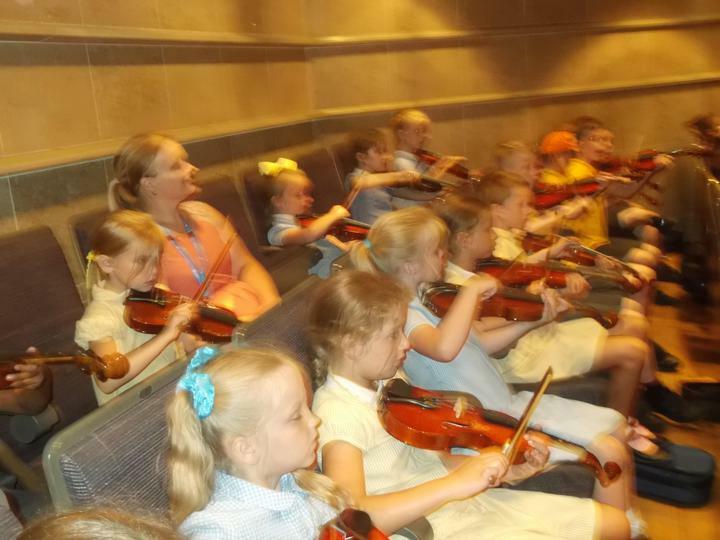 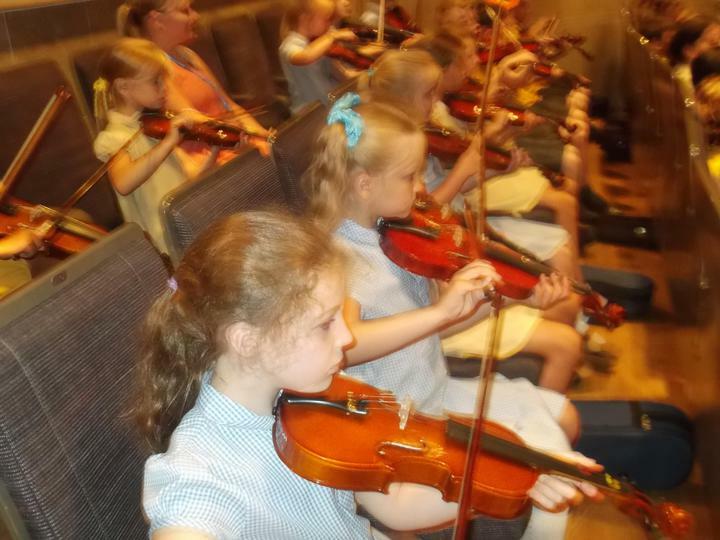 As musicians we will learn to play the violin. 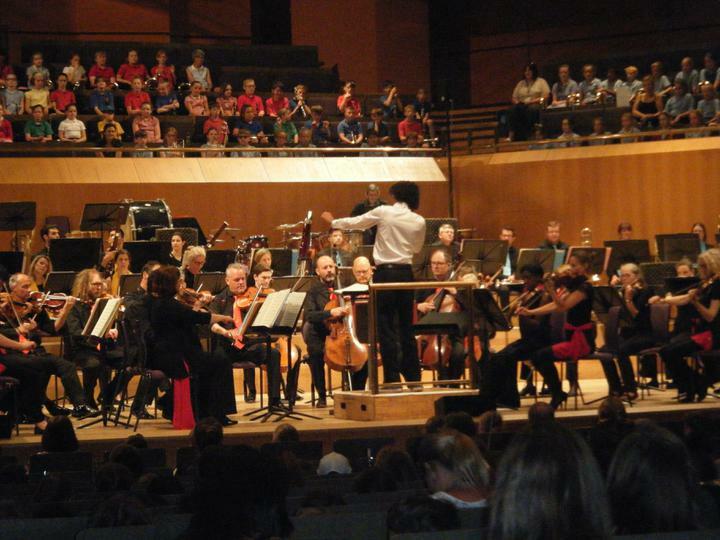 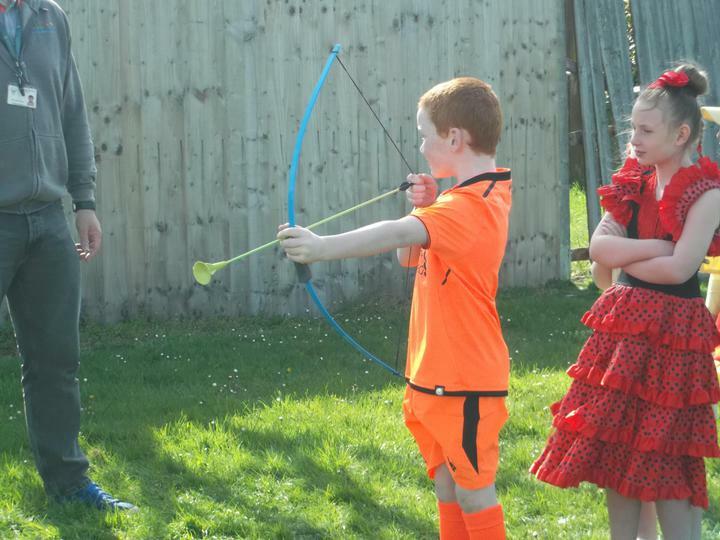 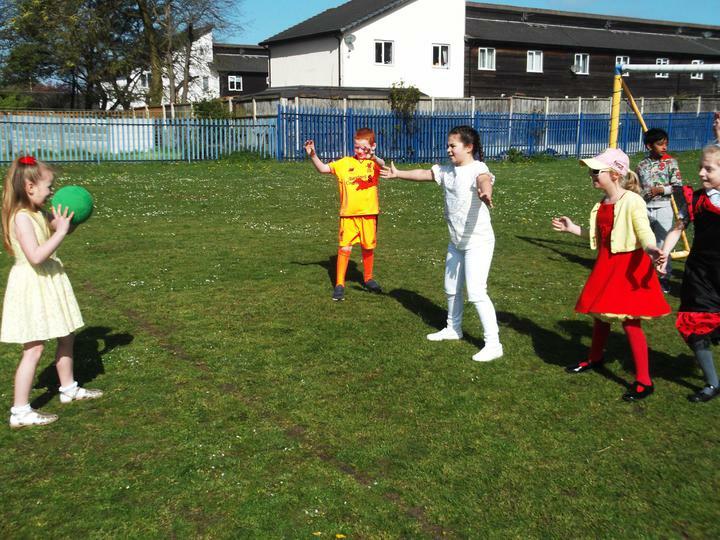 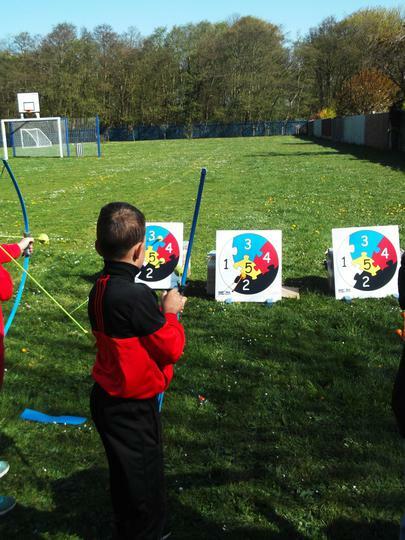 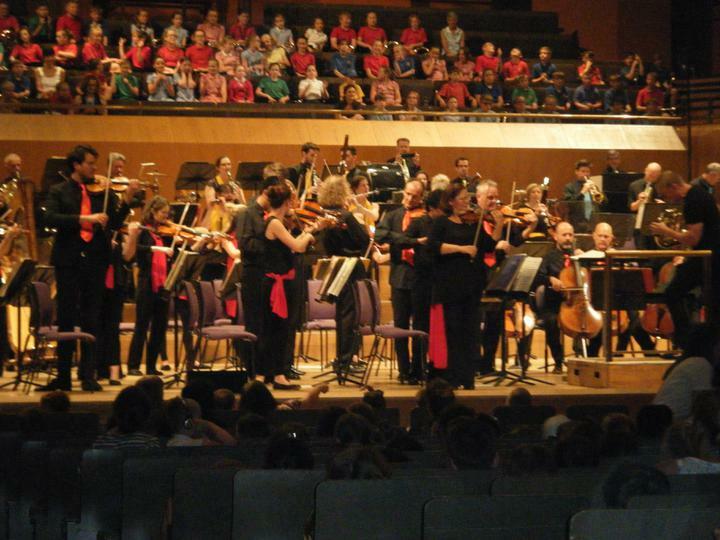 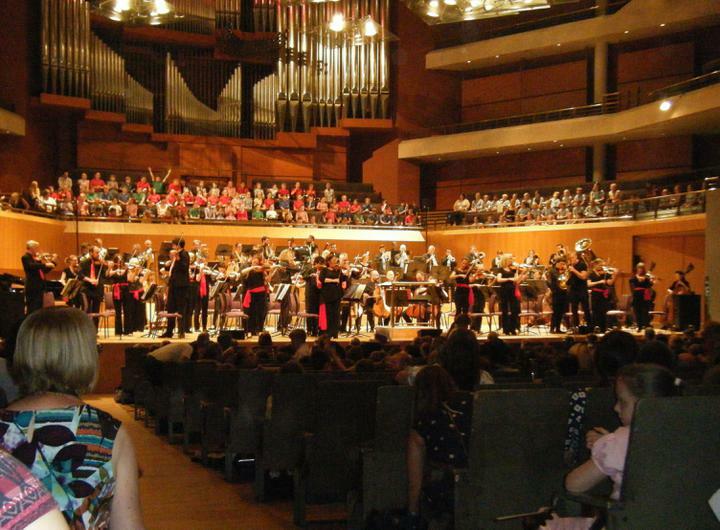 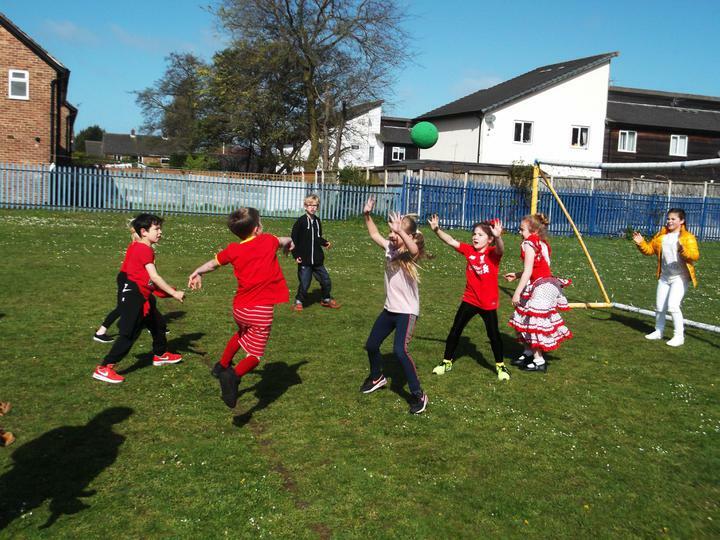 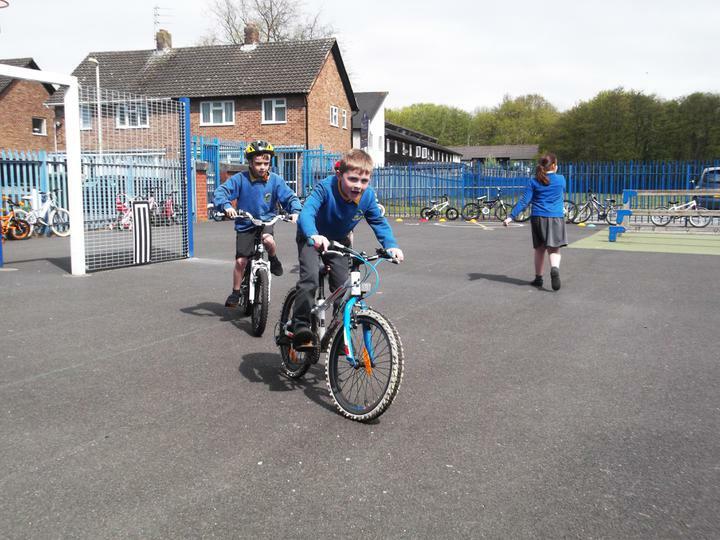 We will play and perform with increasing accuracy, fluency, control and expression. 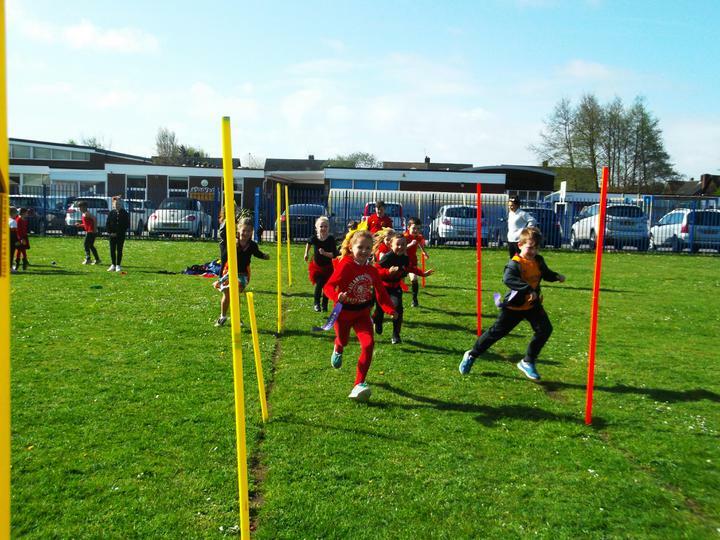 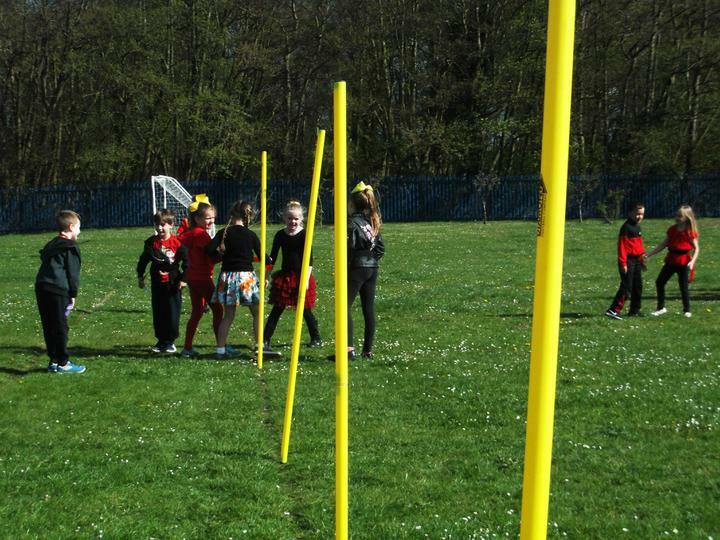 As athletes we will develop flexibility, strength, technique, control and balance through participating in a variety of sporting games. 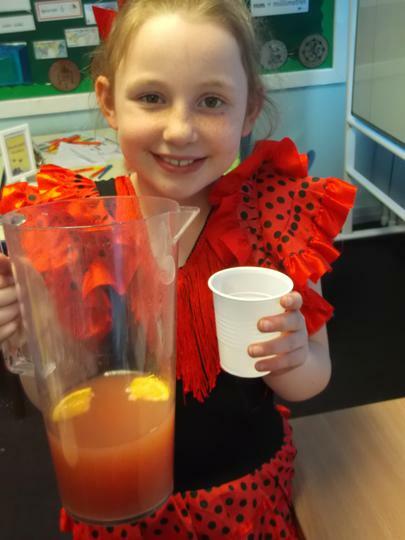 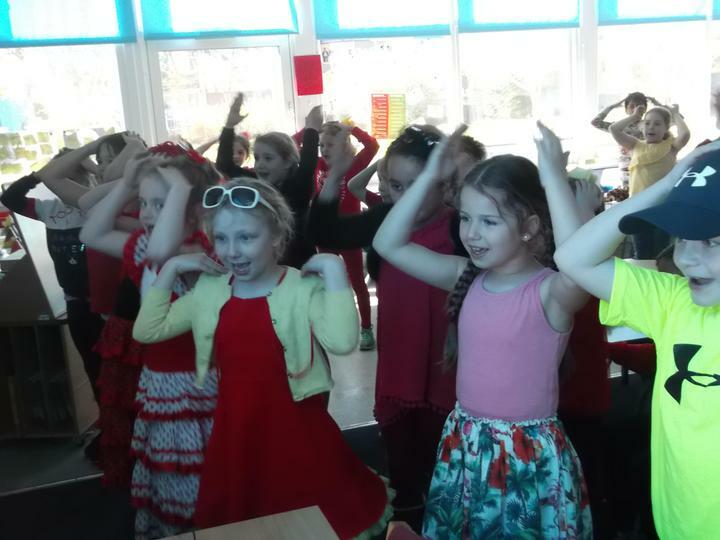 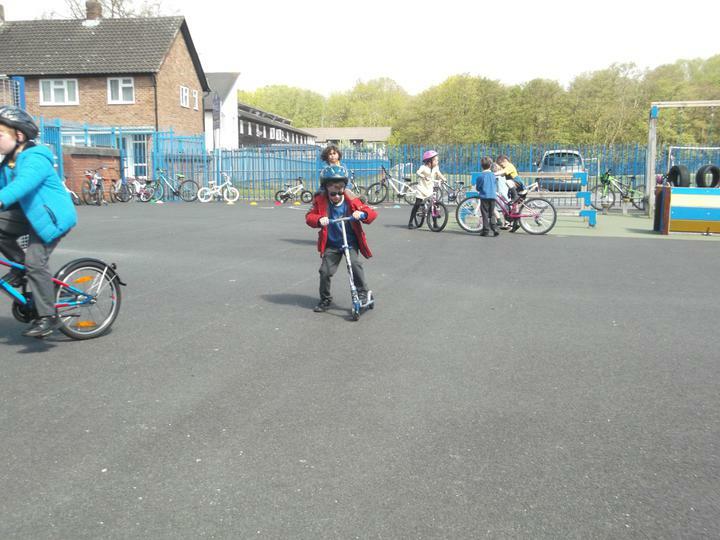 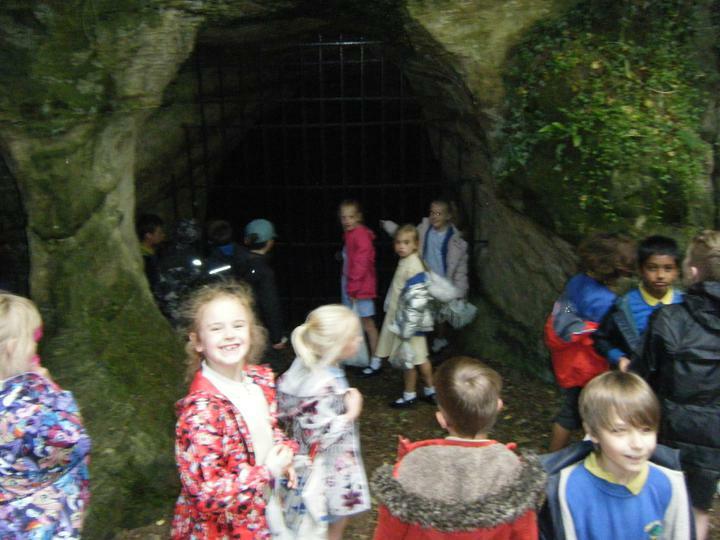 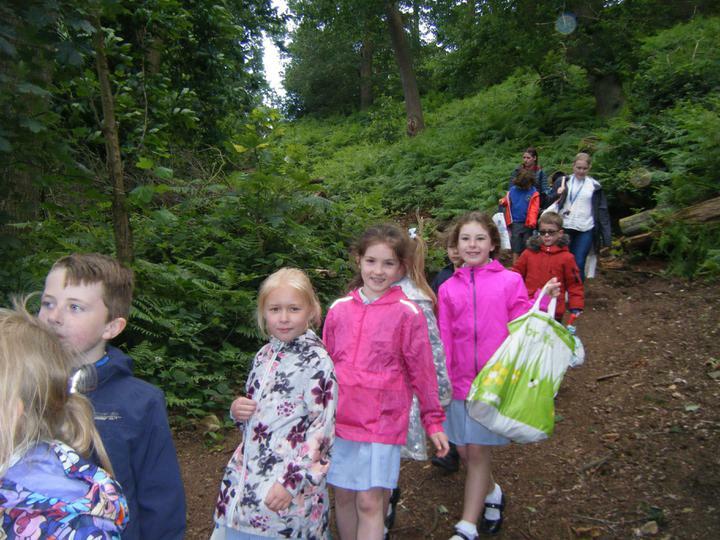 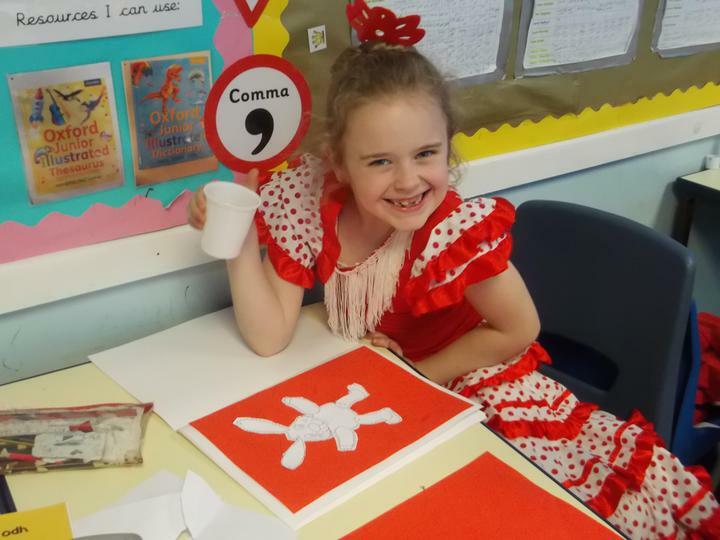 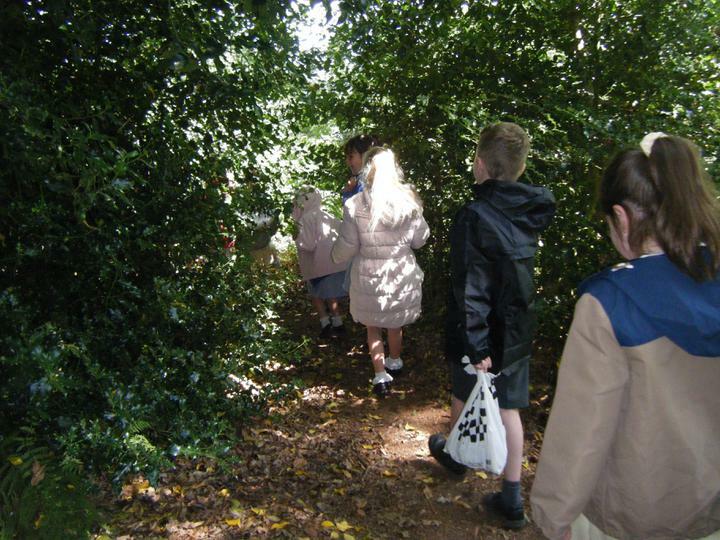 As linguists we will learn all about things ‘I can…’ do and learn Spanish words for the story Little Red Riding Hood. 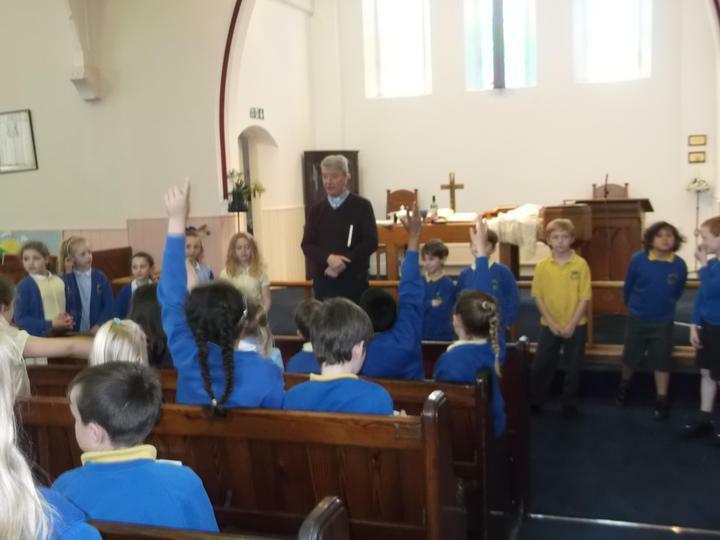 As theologians we will learn about Christianity and Islam. 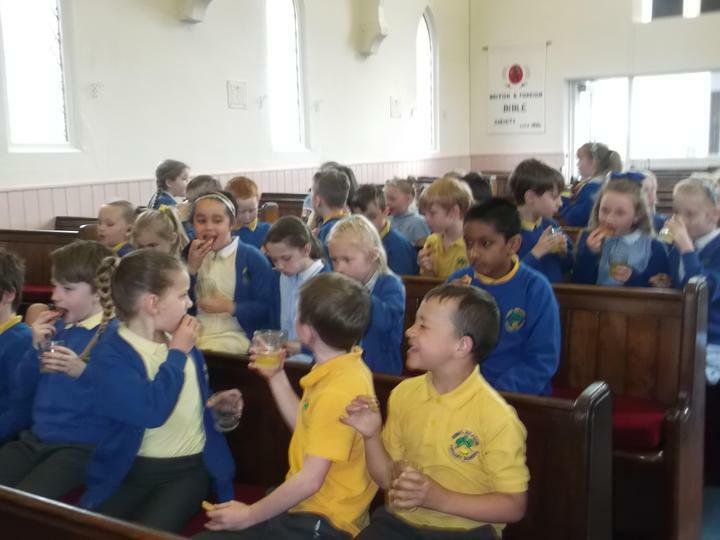 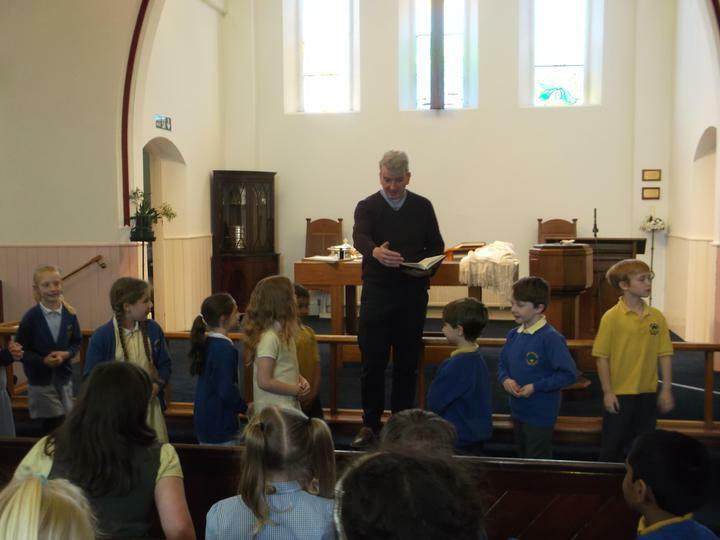 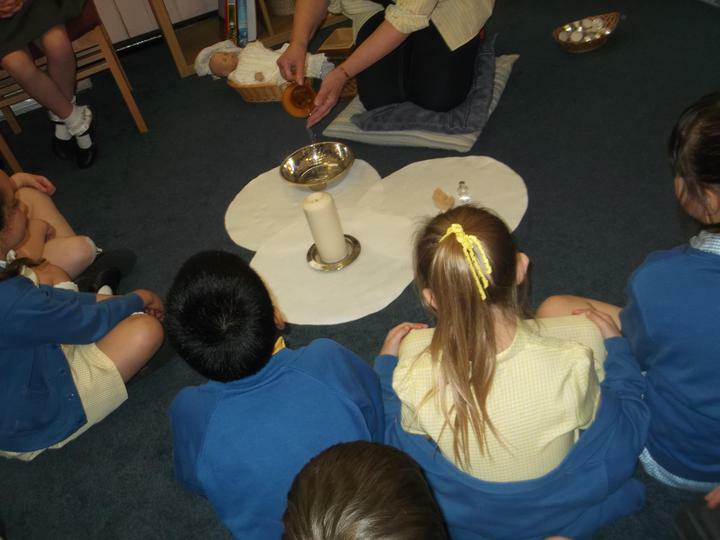 We will explore the enquiry questions ‘What ceremonies take place in a church?’ and ‘Should we have rules?’. 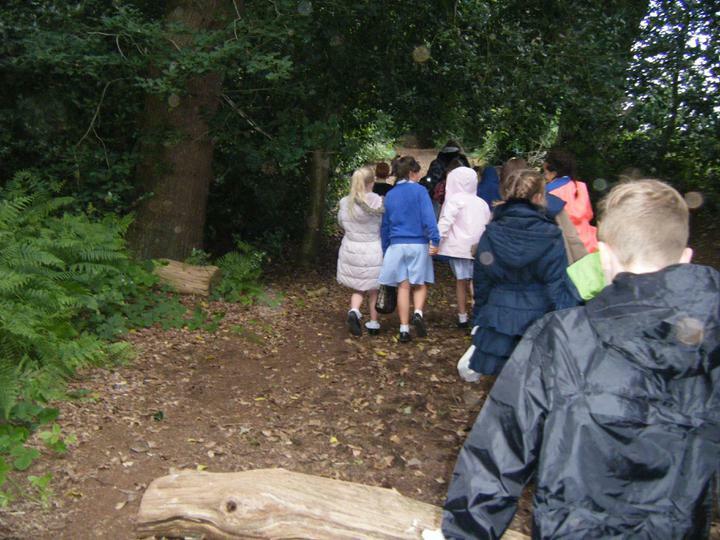 Our magical tree in the Land of Treats! 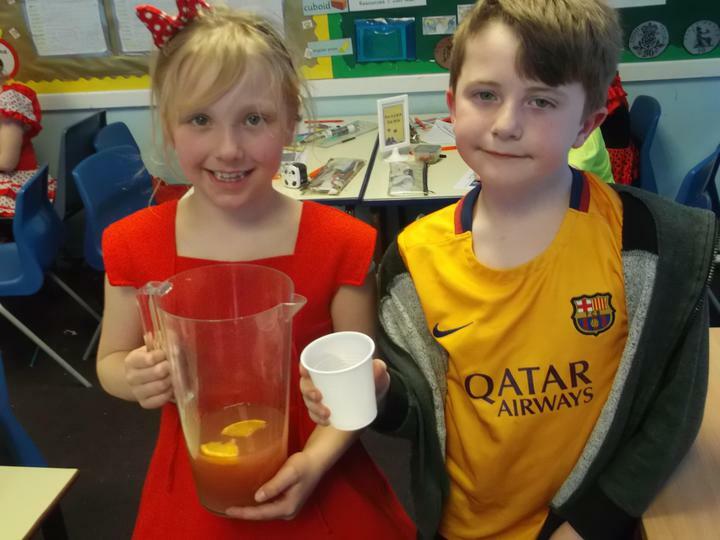 Our class researched the Elm tree and discovered the devastating Dutch Elm Disease that affected Elm trees all around Europe, Asia, America and New Zealand. 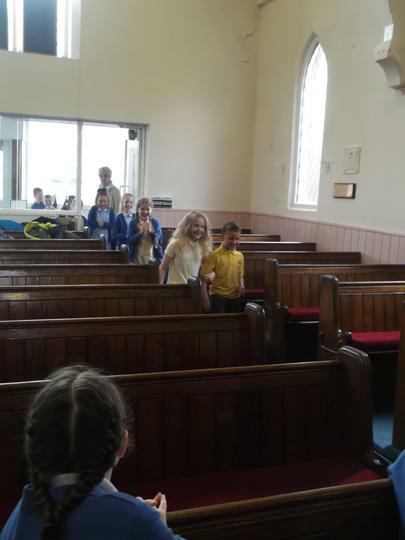 We pretended we were reports in 1910, when the disease first came out. 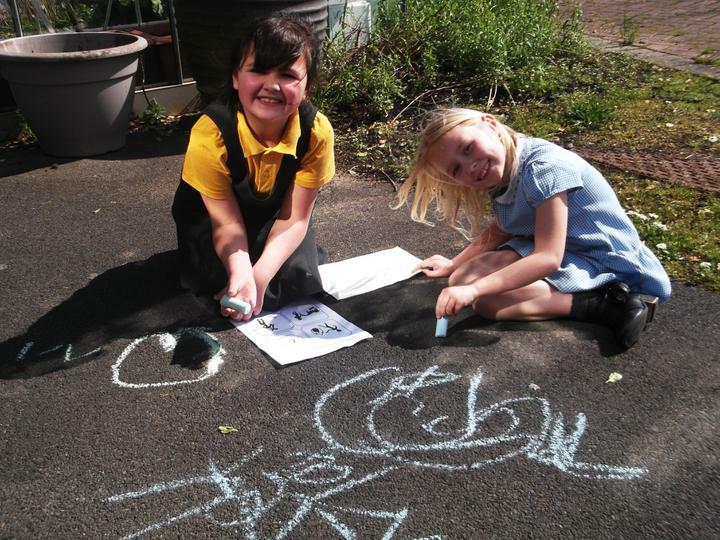 We wrote newspaper reports, warning people about the disaster and giving advice about how they can help. 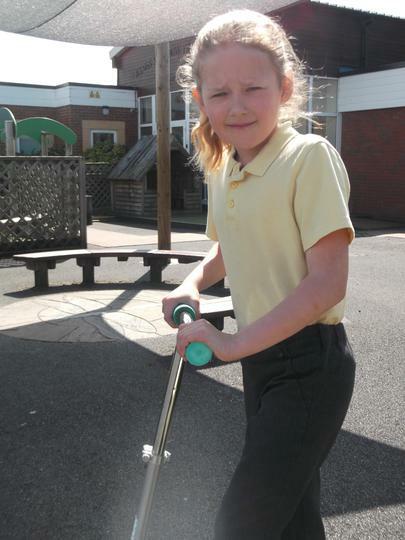 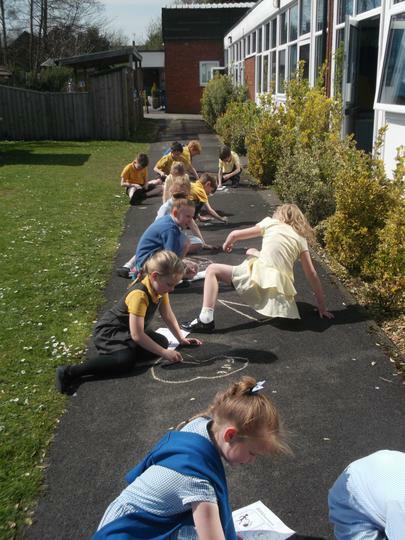 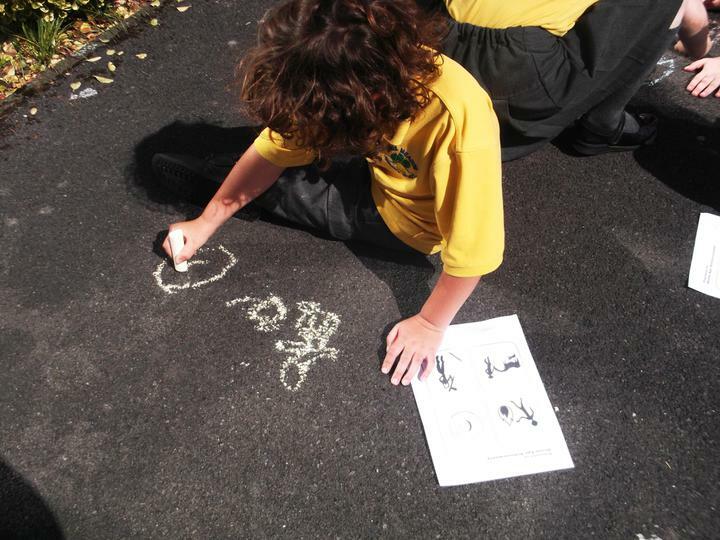 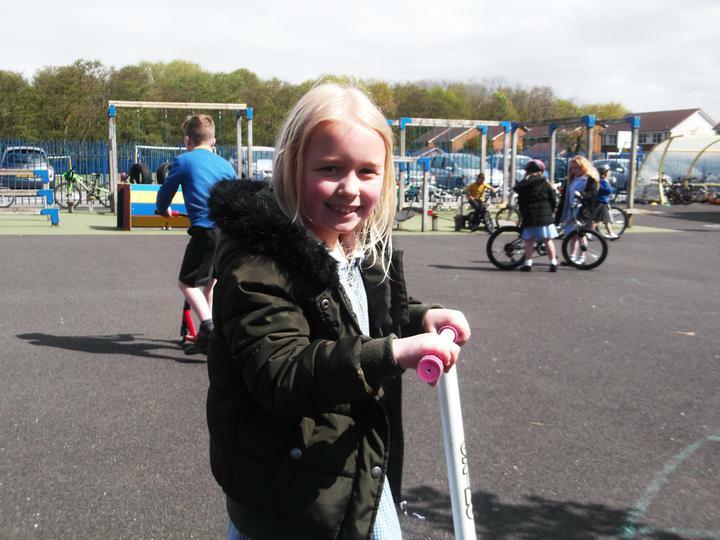 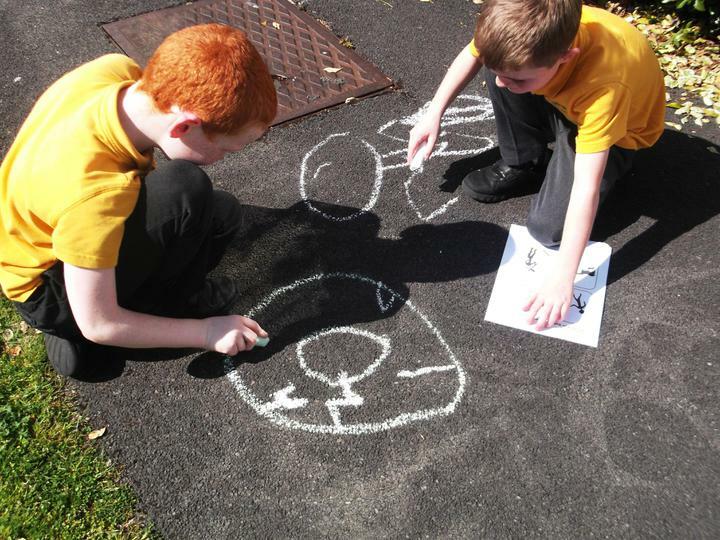 We did an investigation to find out the ages of the trees on the school grounds. 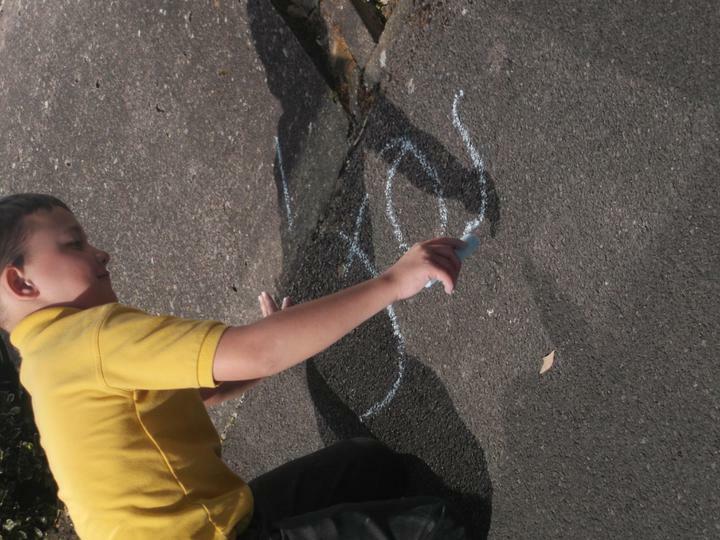 We measure 1 metre from the ground, measured the circumference and divided it by 2.5 . 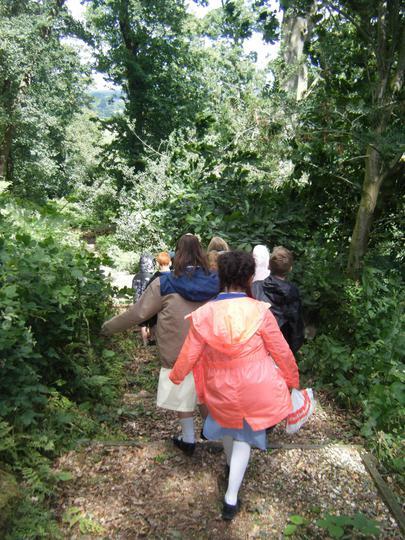 This gave us the age of each tree! 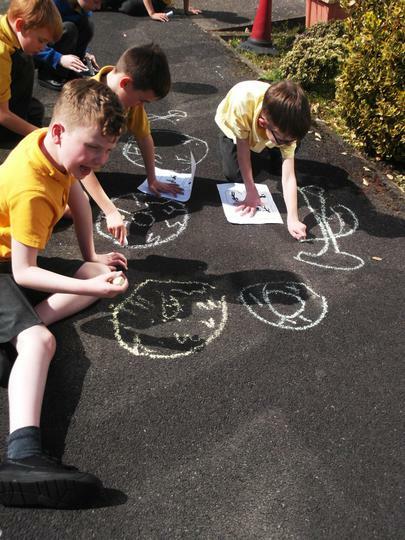 Our art was inspired by our class novel 'The Folk of the Faraway Tree' by Enid Blyton. 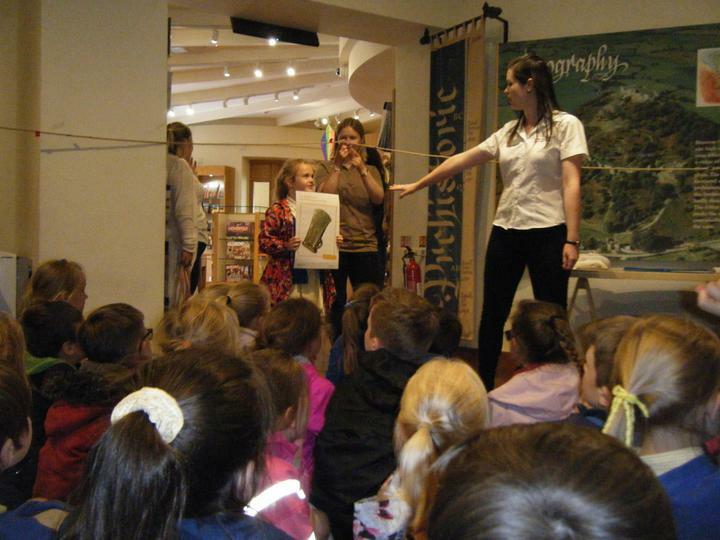 The main character refuses to believe in the Faraway Tree - until she is taken to the Land of Treats! 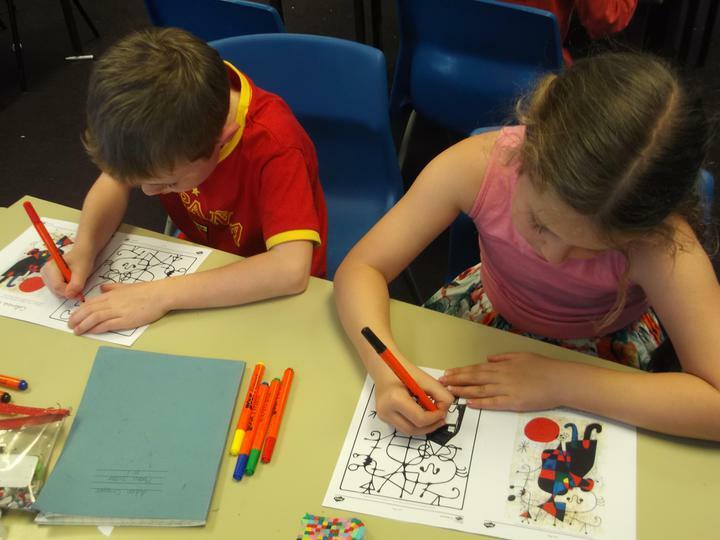 We used bright oil pastels to create our own magical, abstract treat tree! 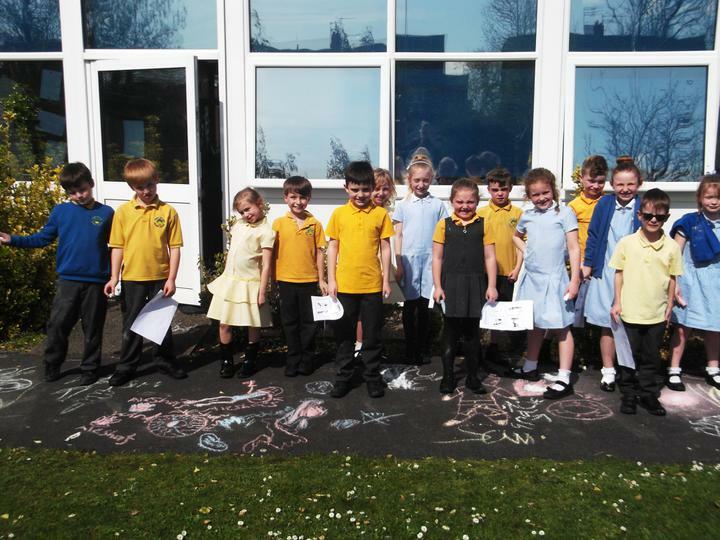 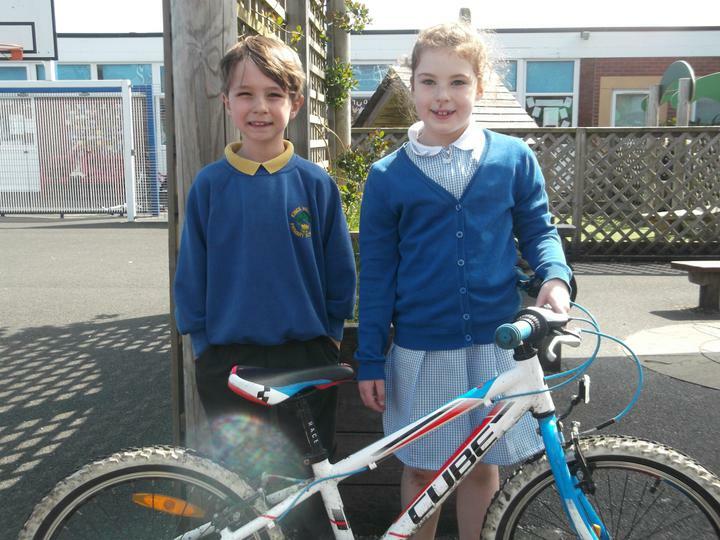 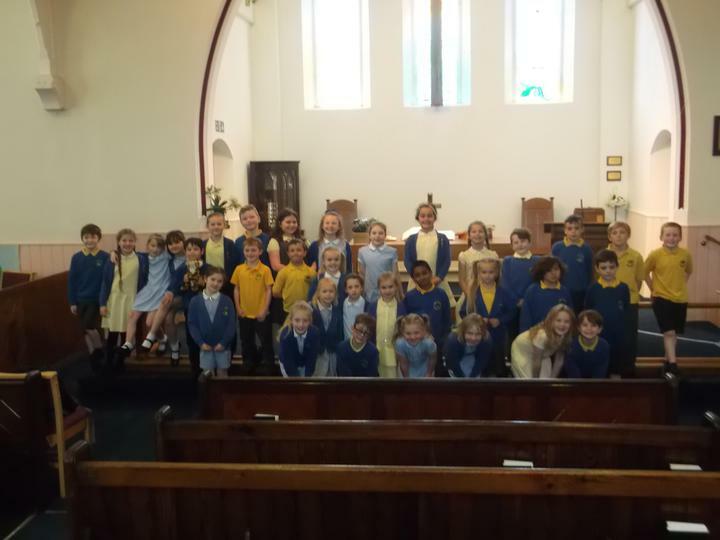 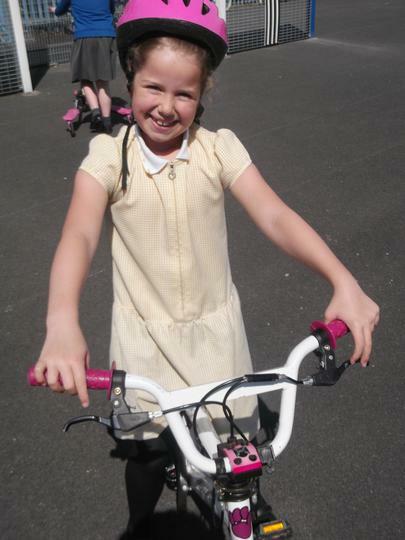 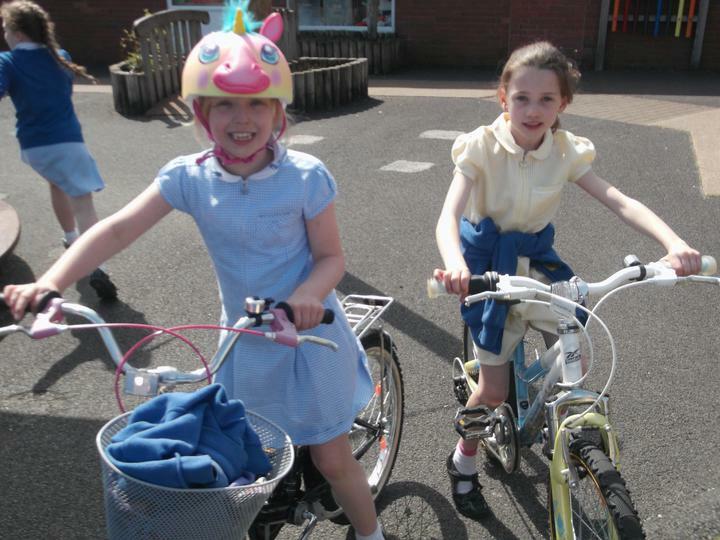 We raised money as a school by coming in mufti, dressing up teddy bears and taking part in the colouring competition. 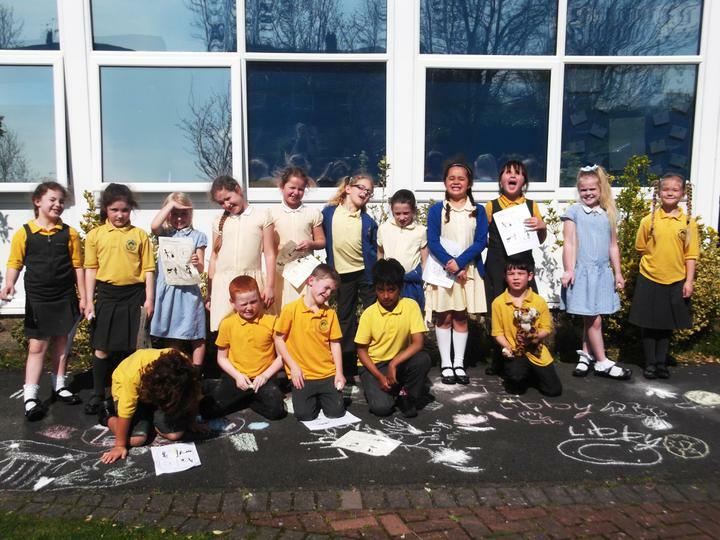 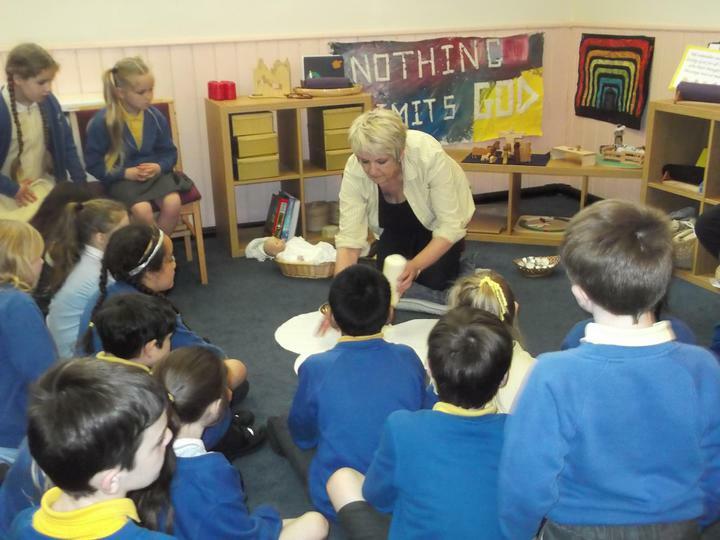 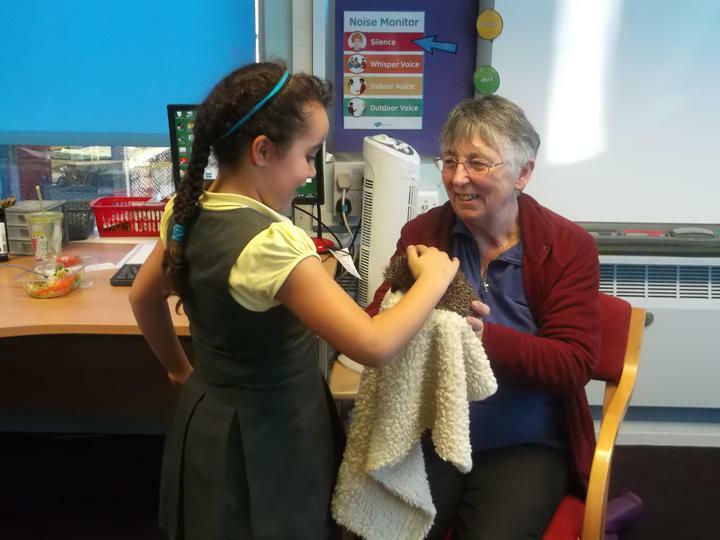 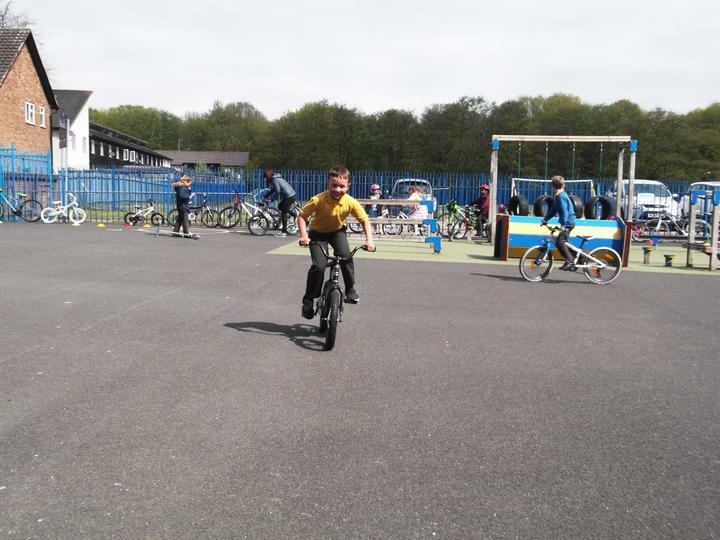 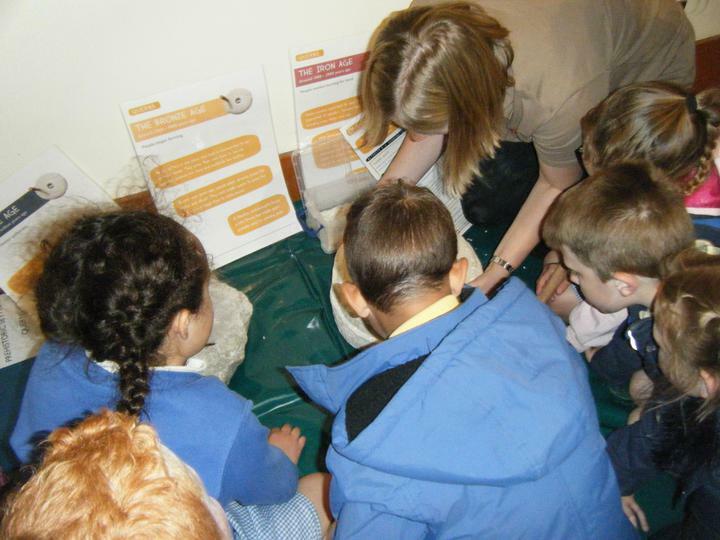 We had so much fun learning about what Children in Need is and why it is so important. 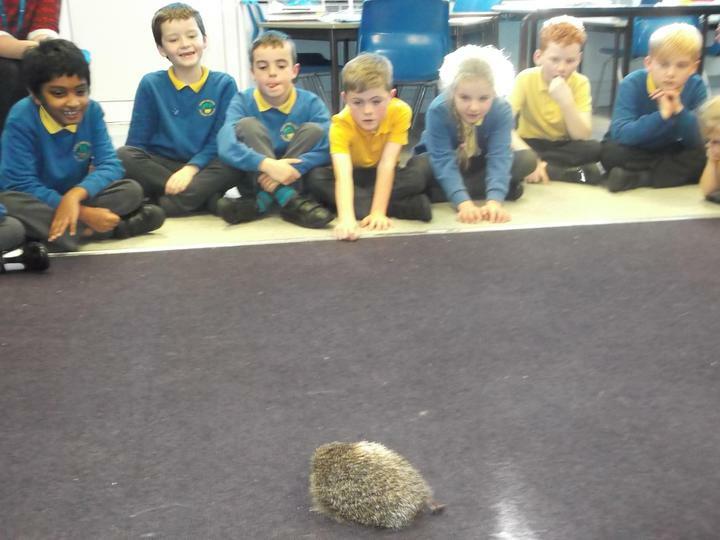 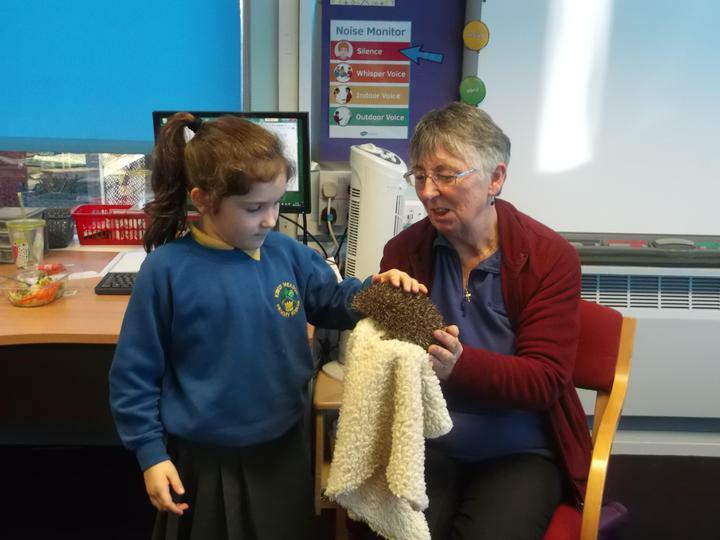 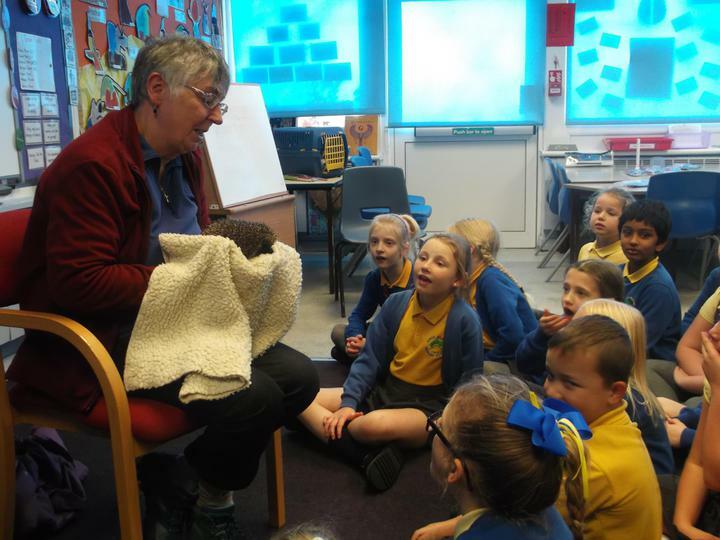 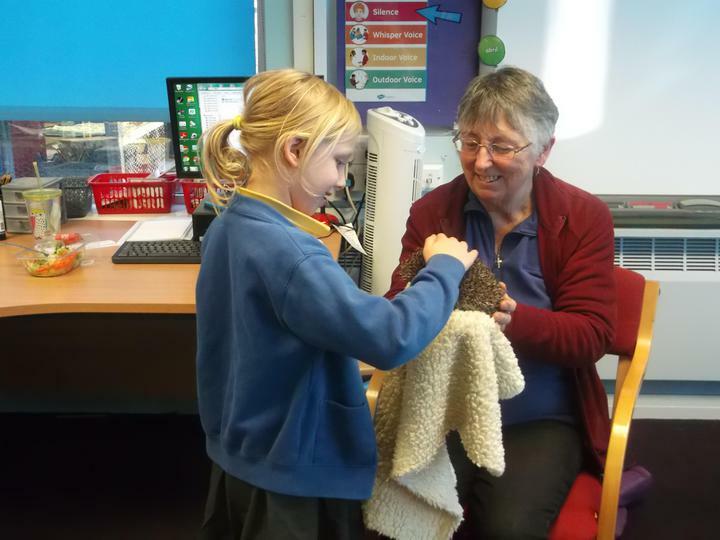 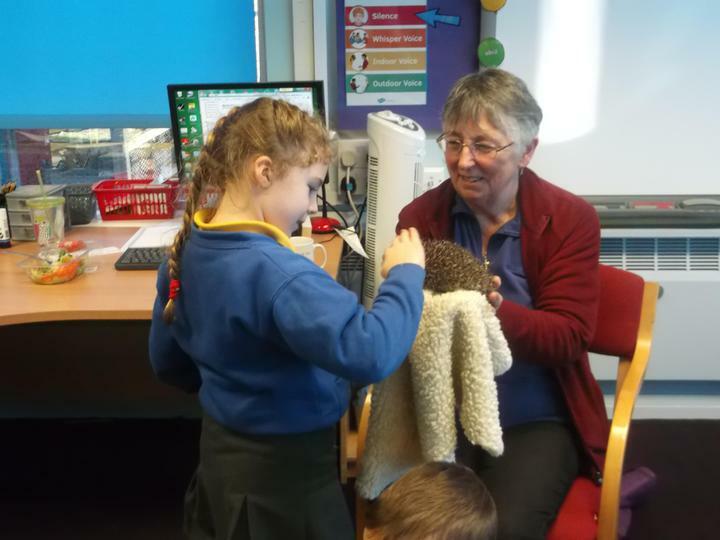 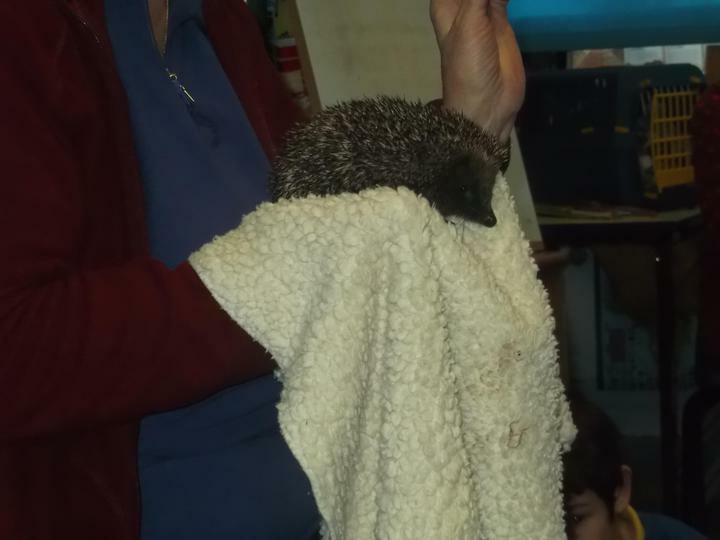 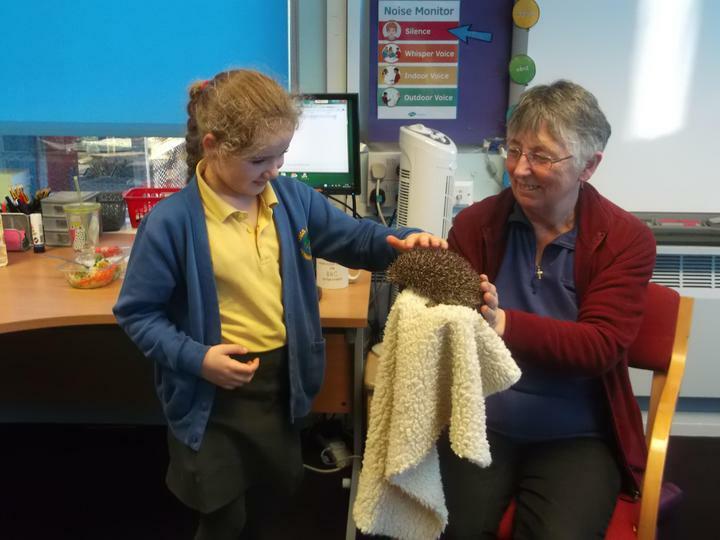 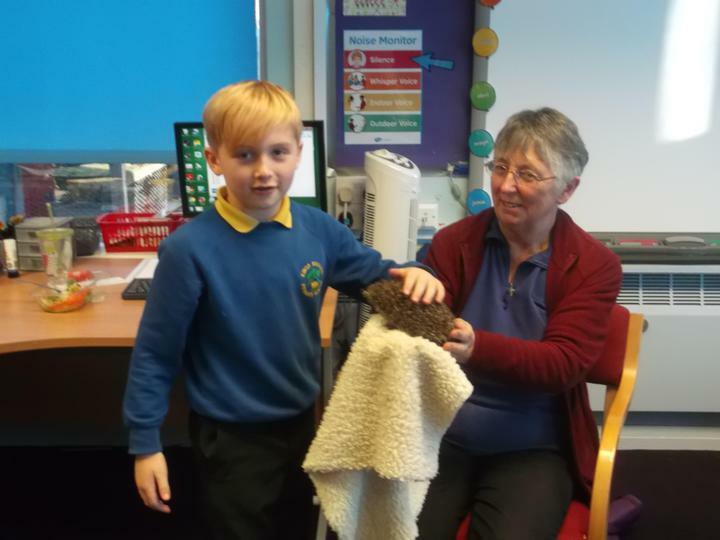 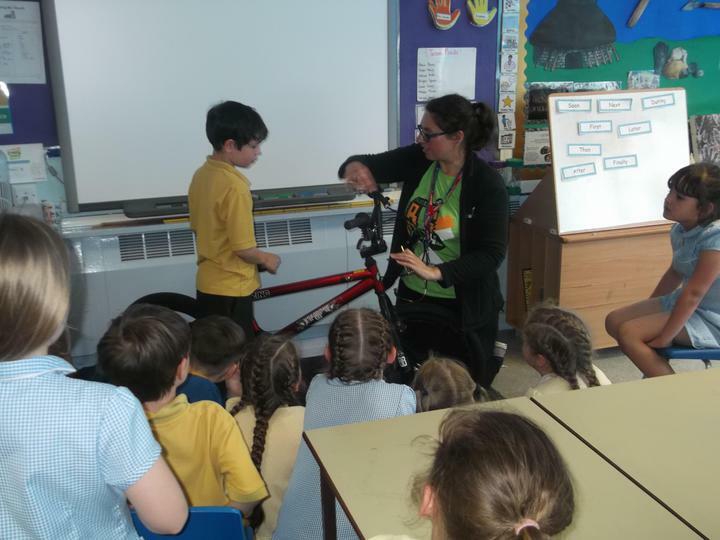 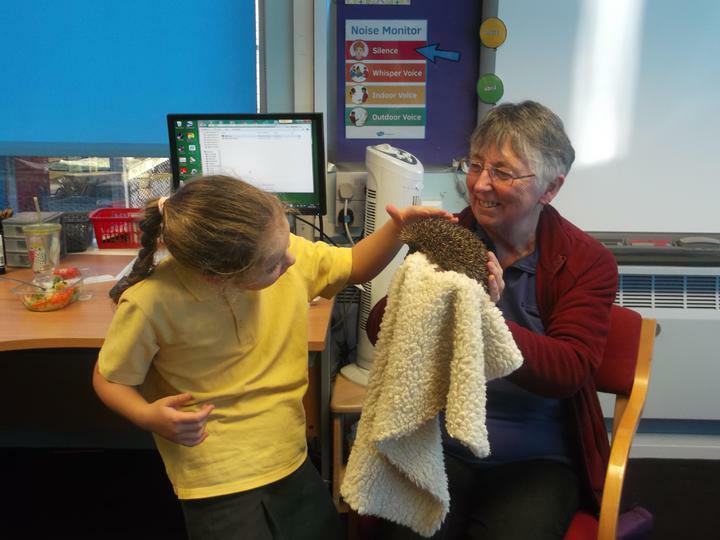 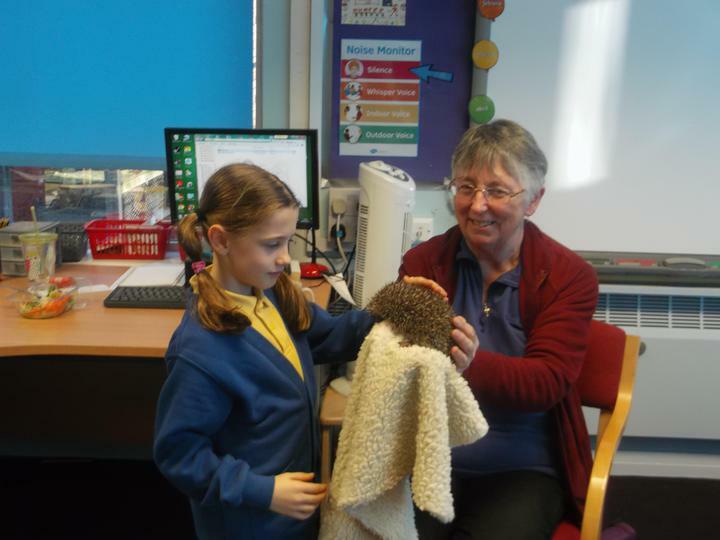 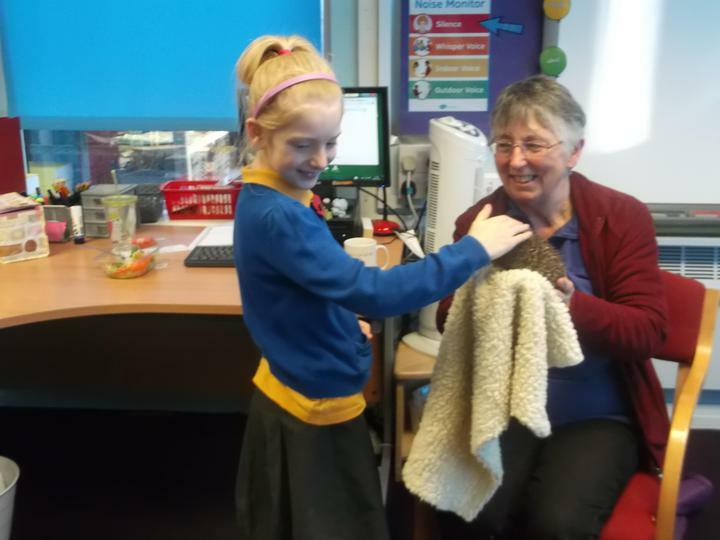 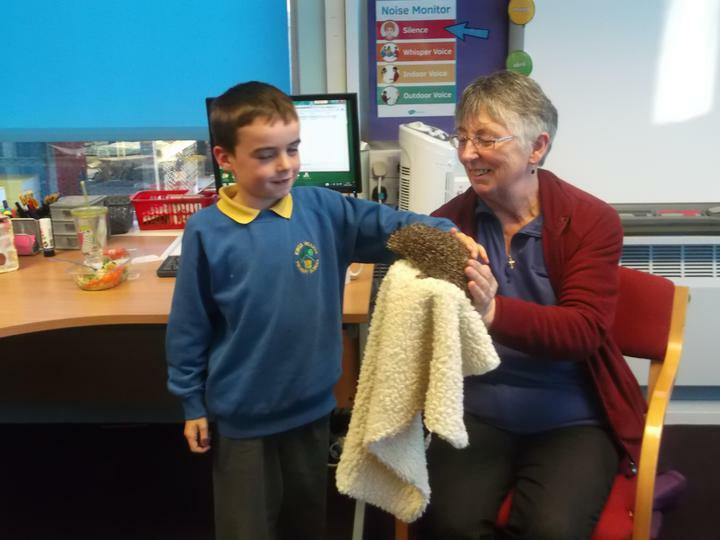 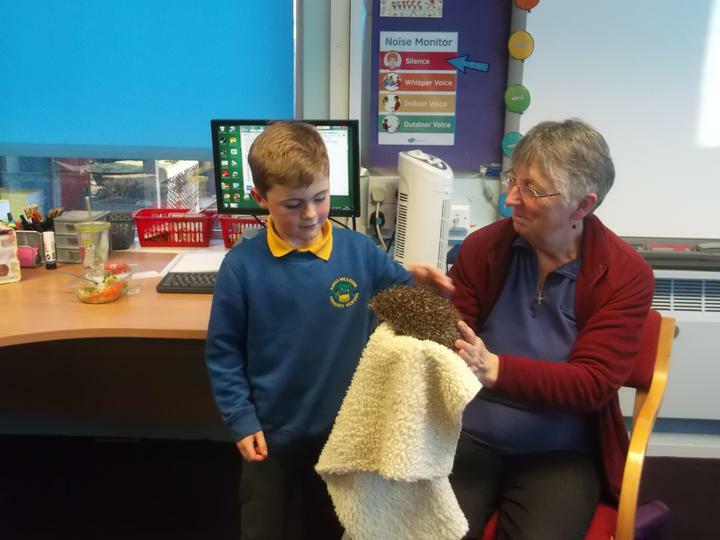 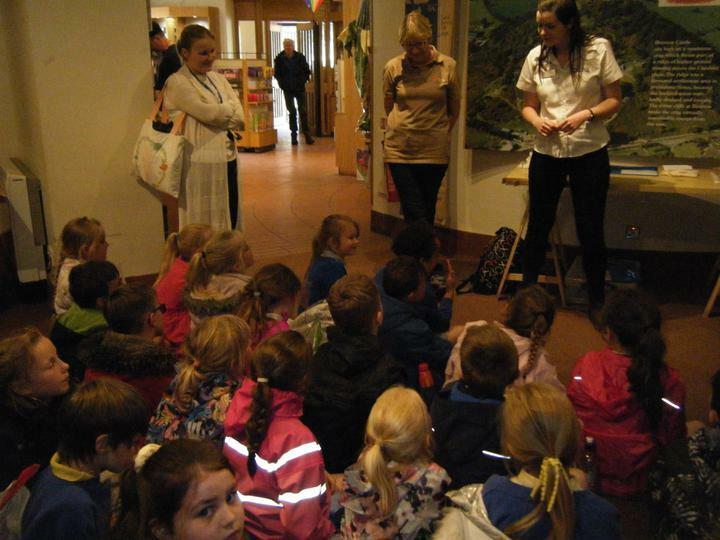 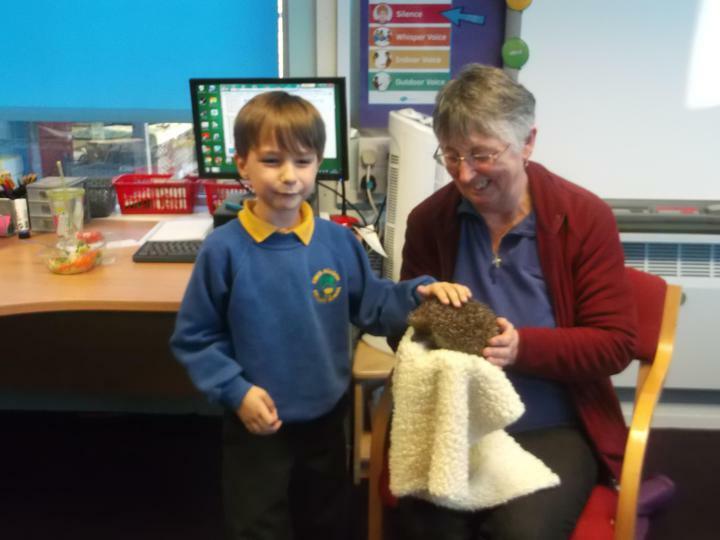 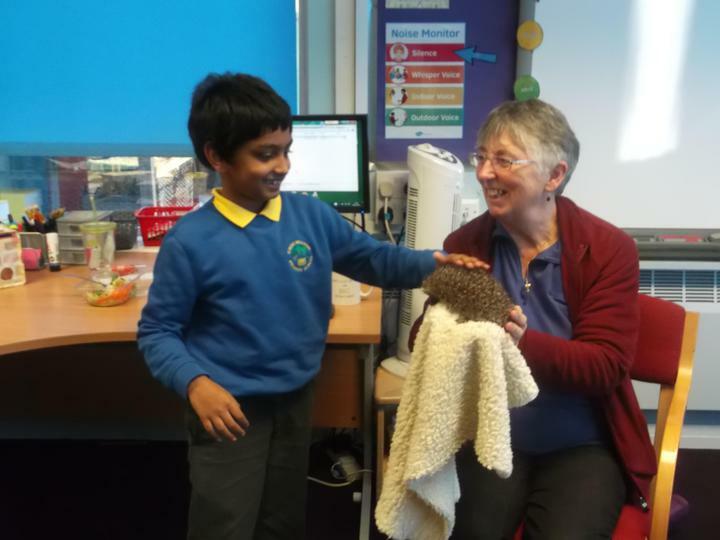 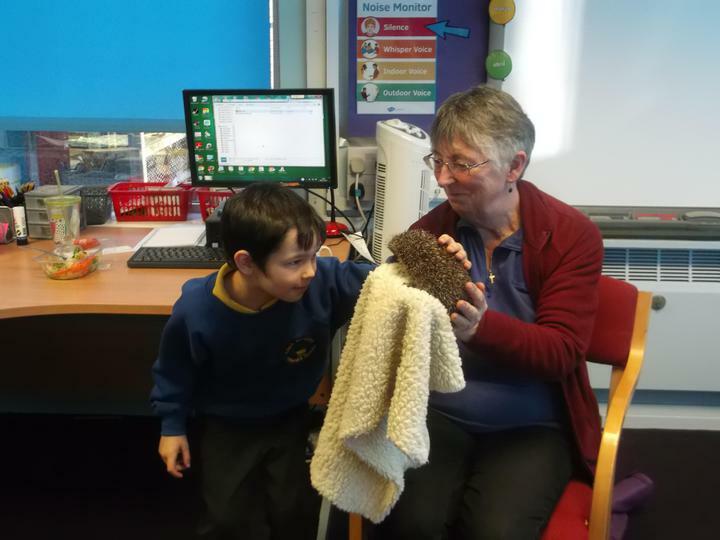 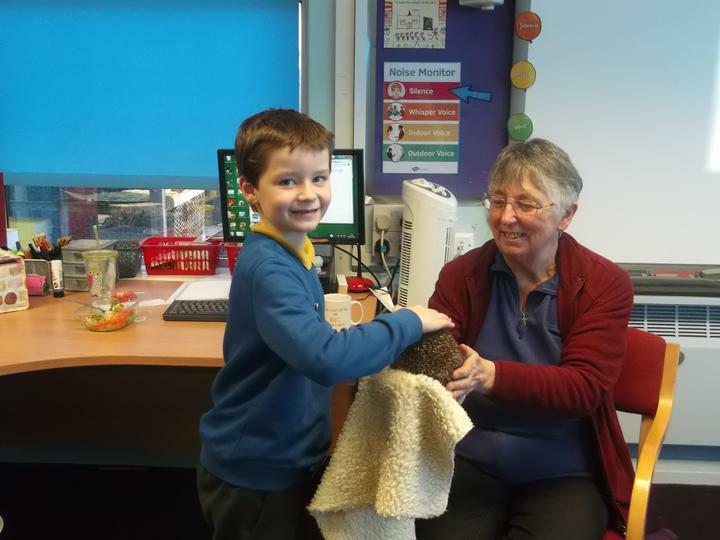 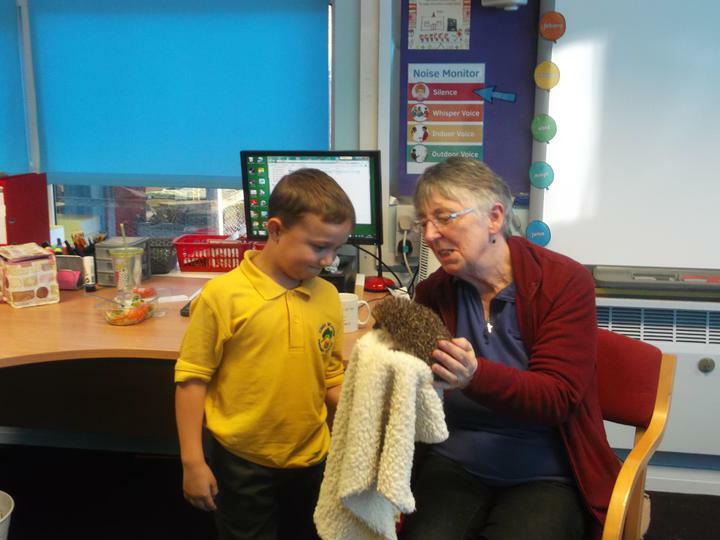 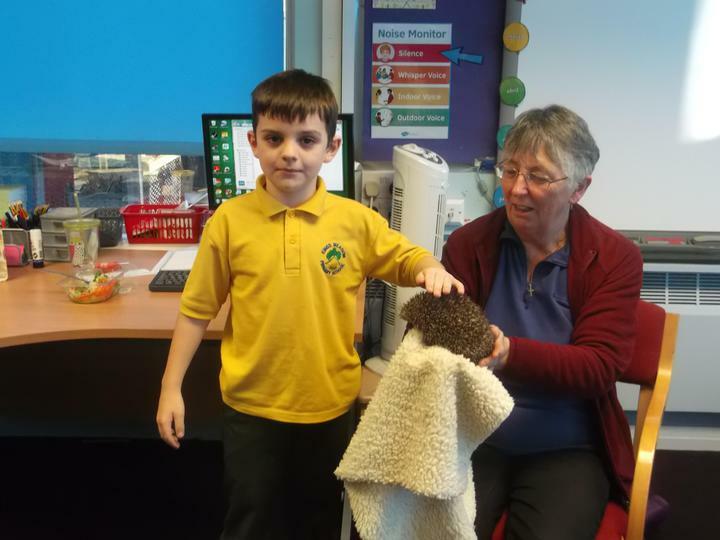 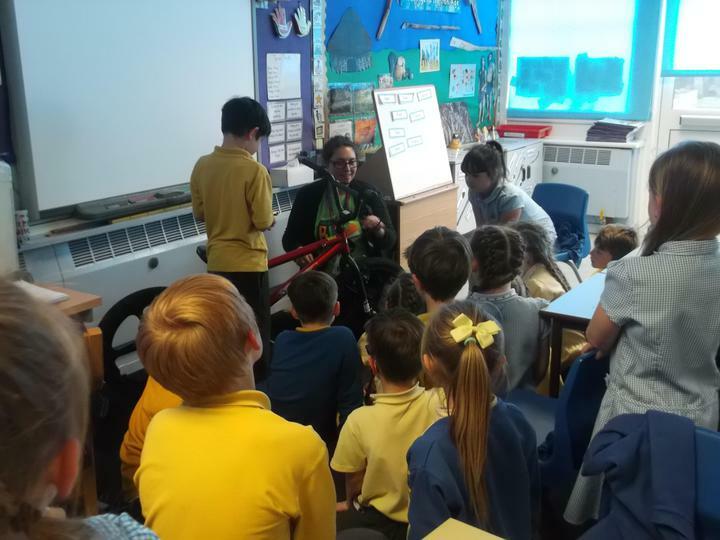 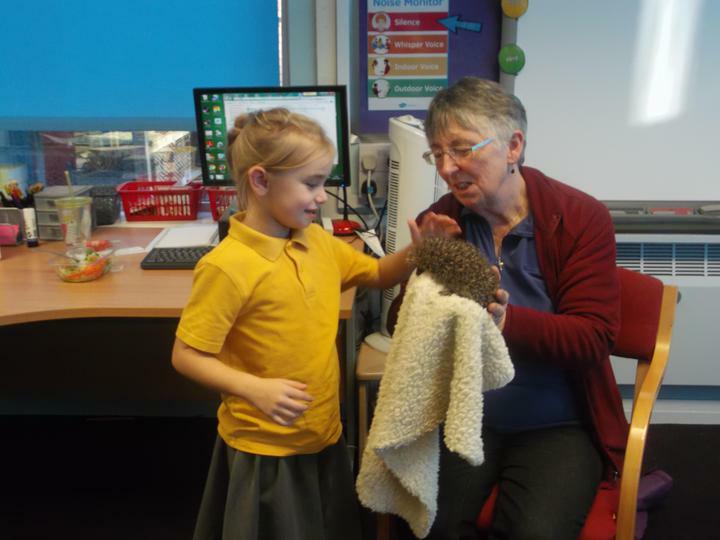 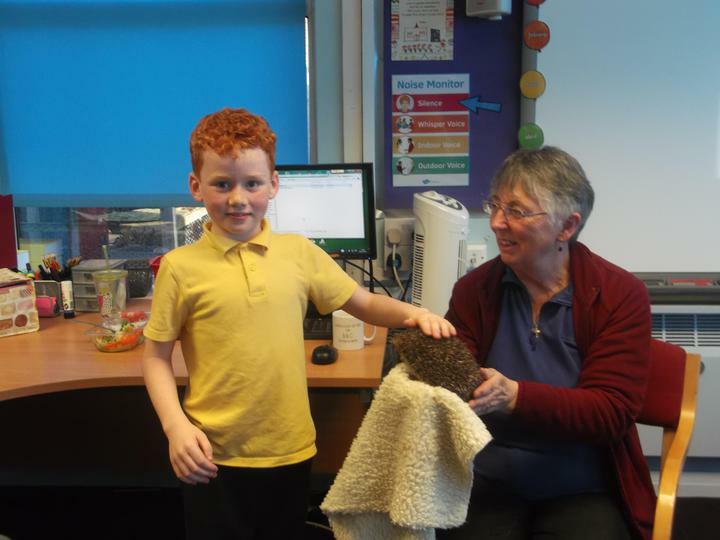 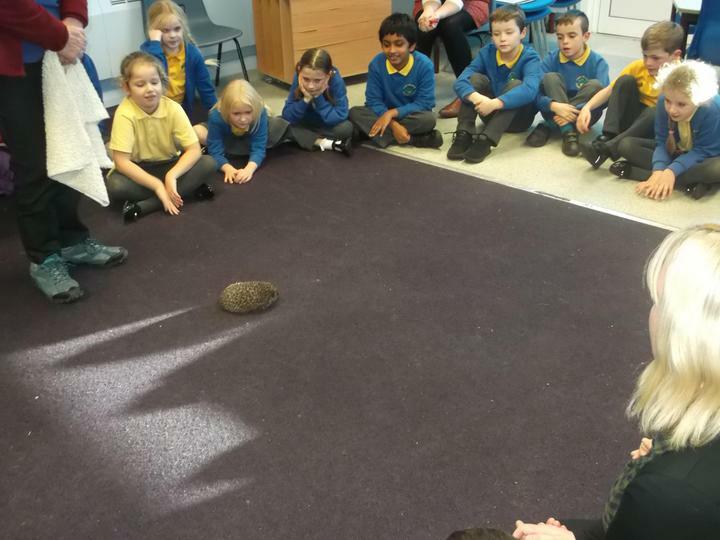 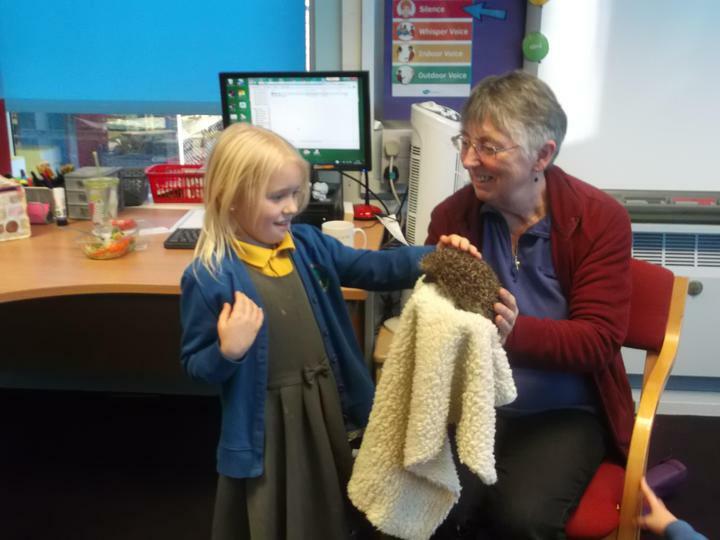 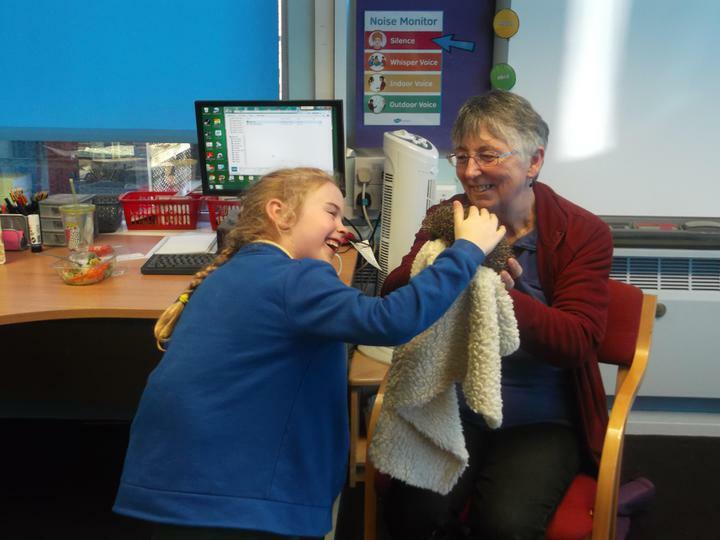 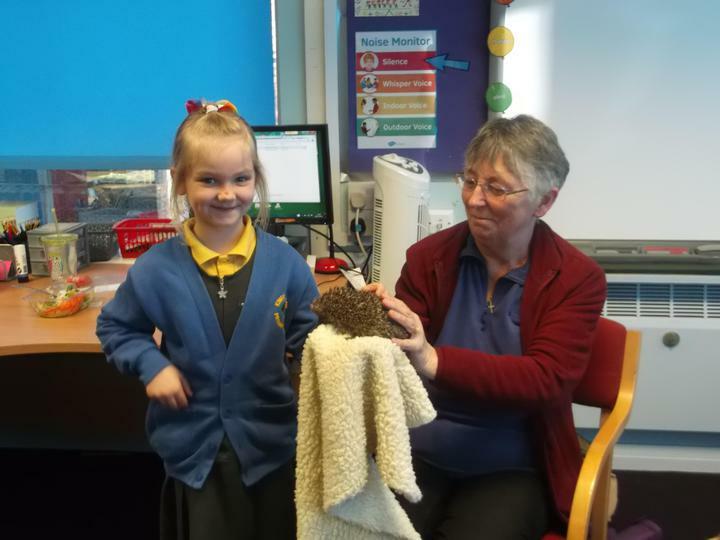 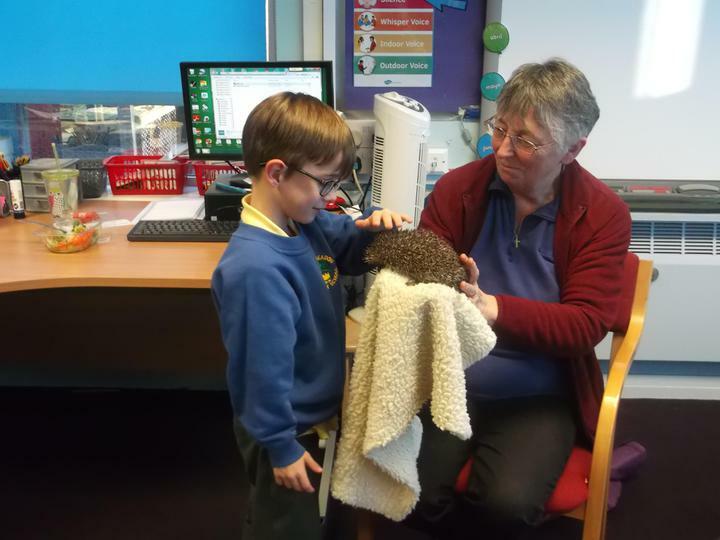 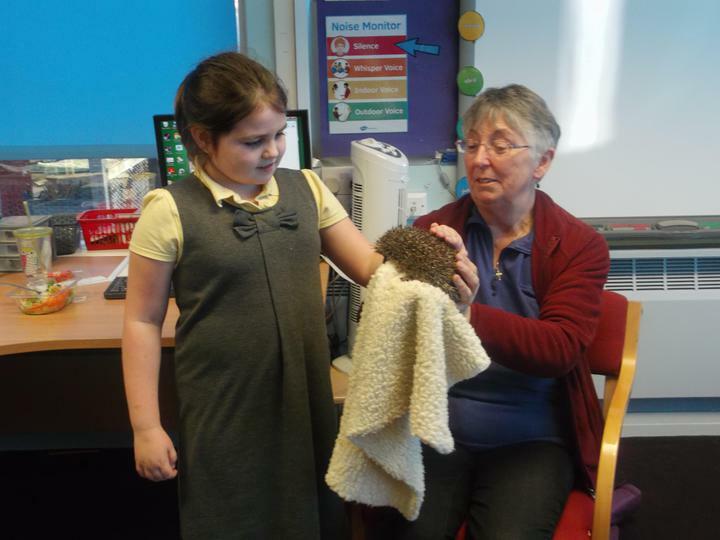 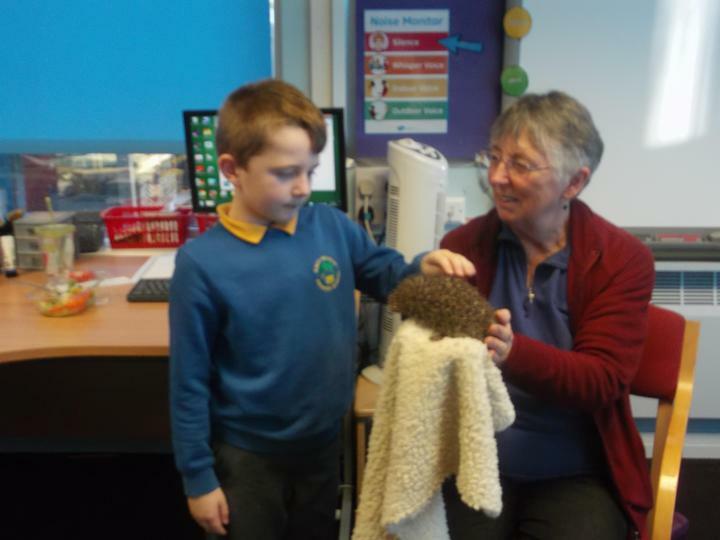 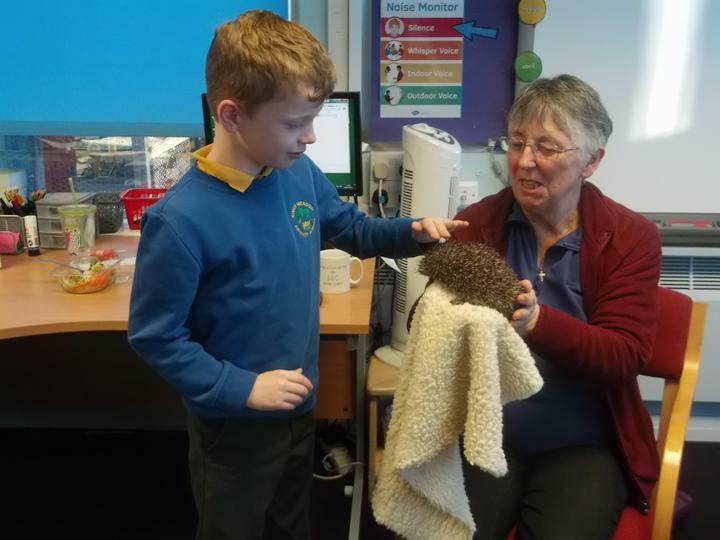 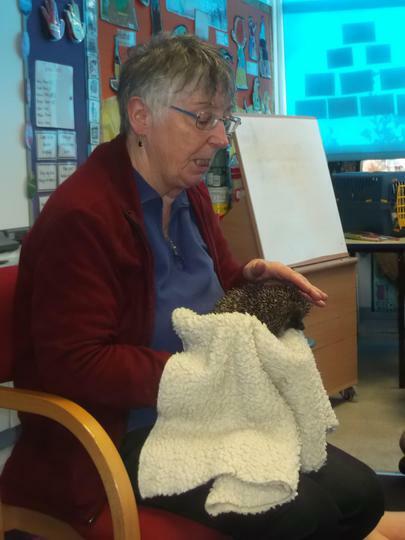 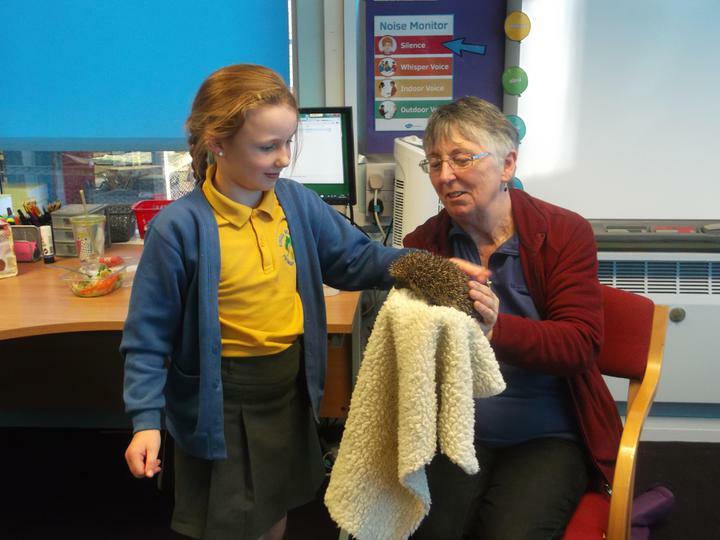 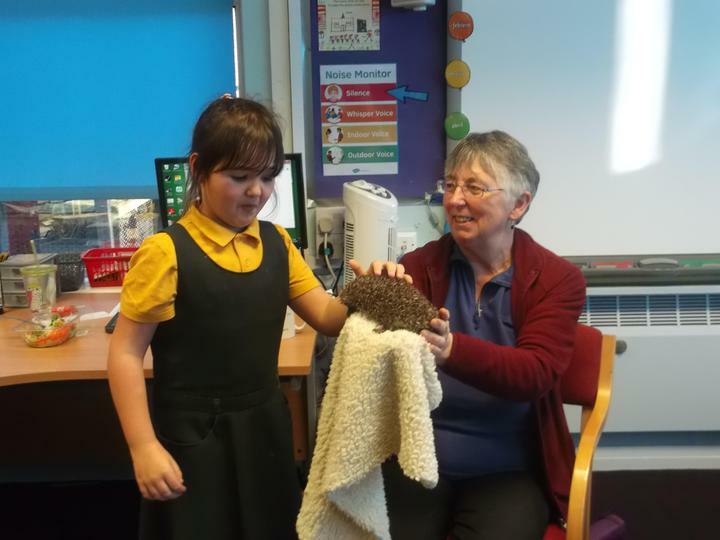 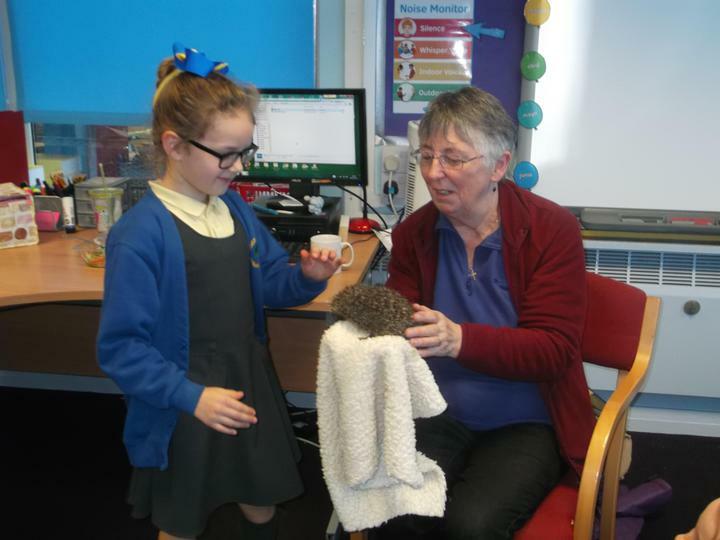 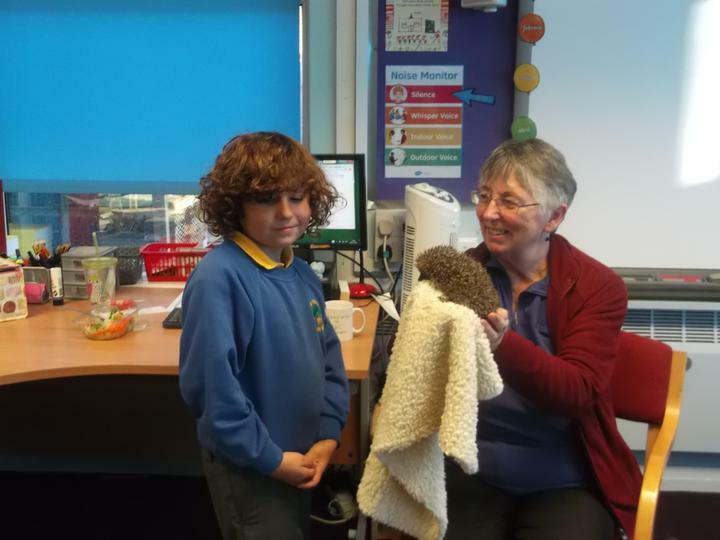 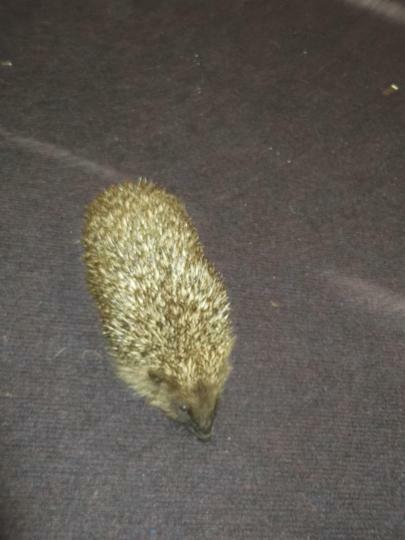 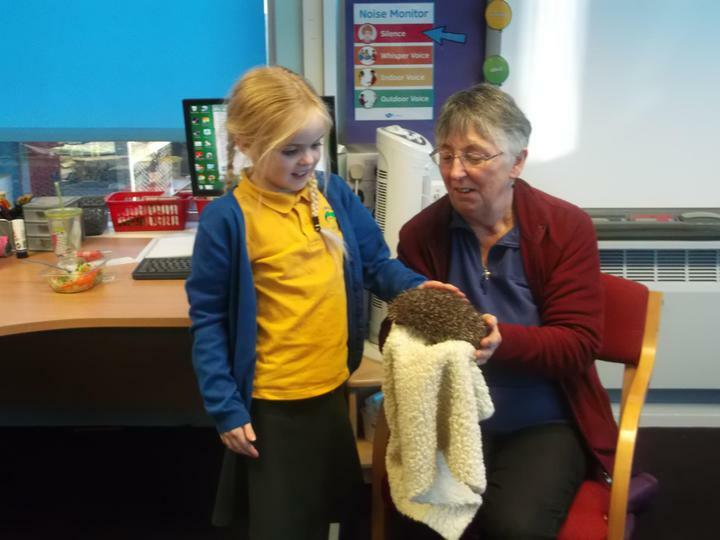 We had a visitor from Woodlands Animal Sanctuary who told us all about Hedgehogs! 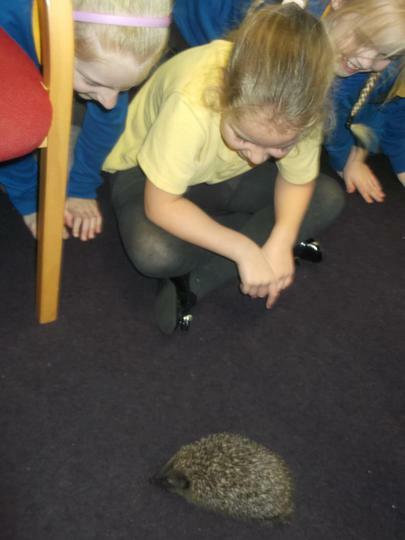 We had fun stroking him and watching him walk around our classroom!